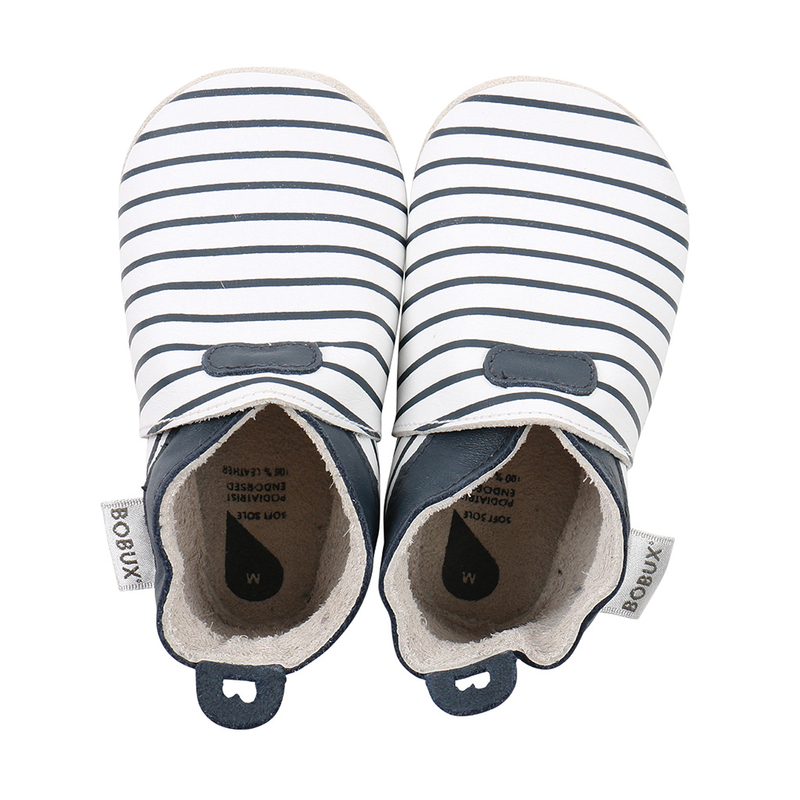 Bobux. The only shoes for kids. 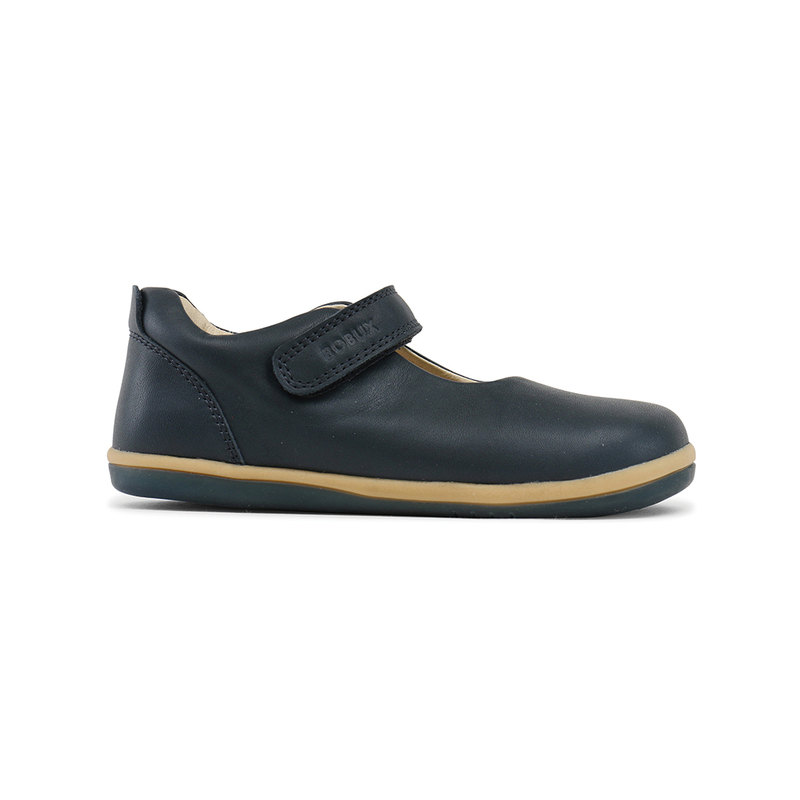 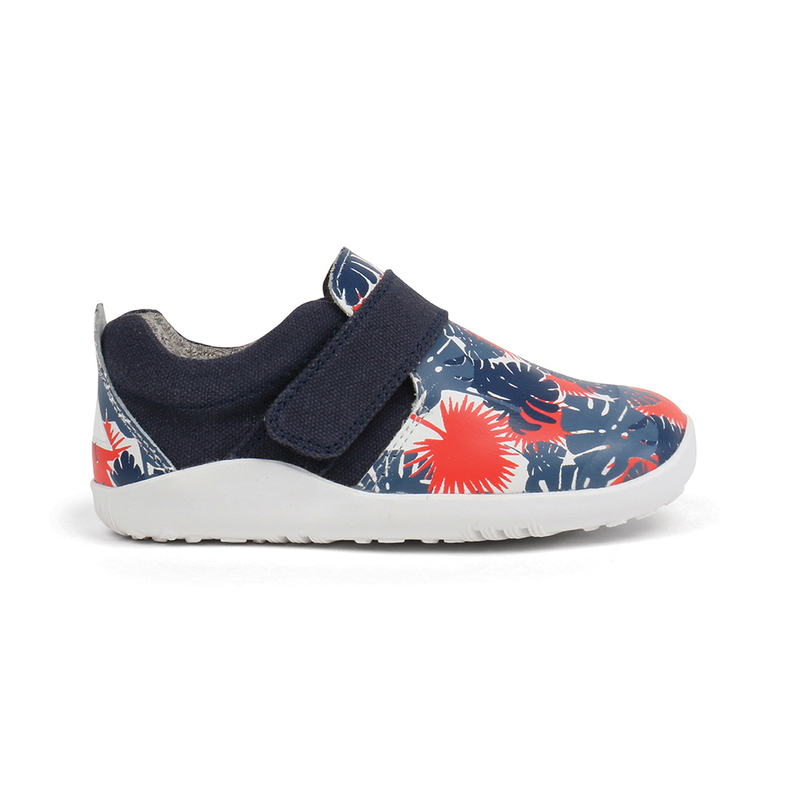 For 25 years, Bobux has made the best shoes for children's feet. 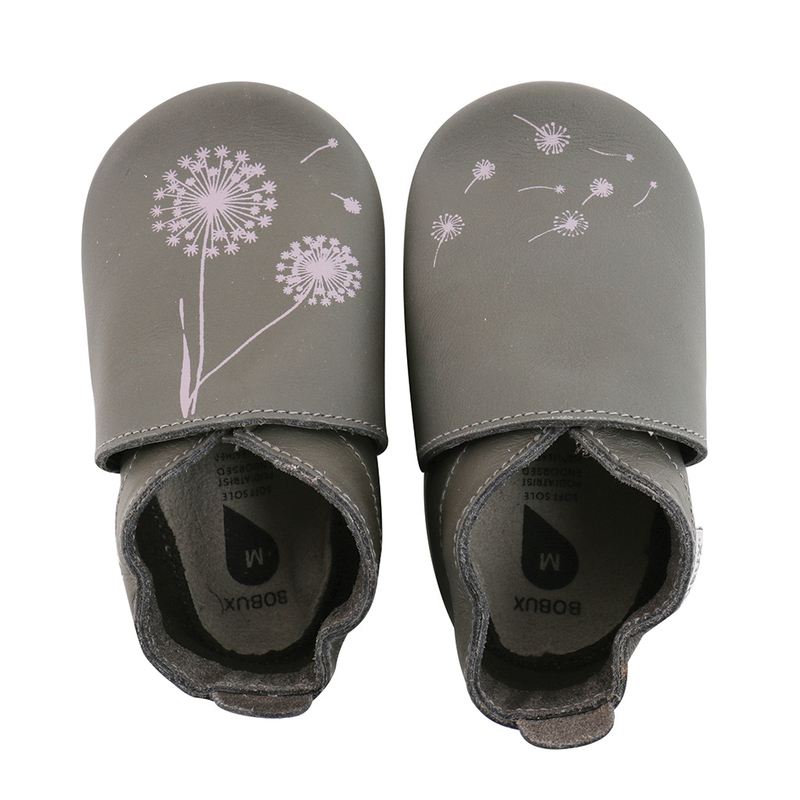 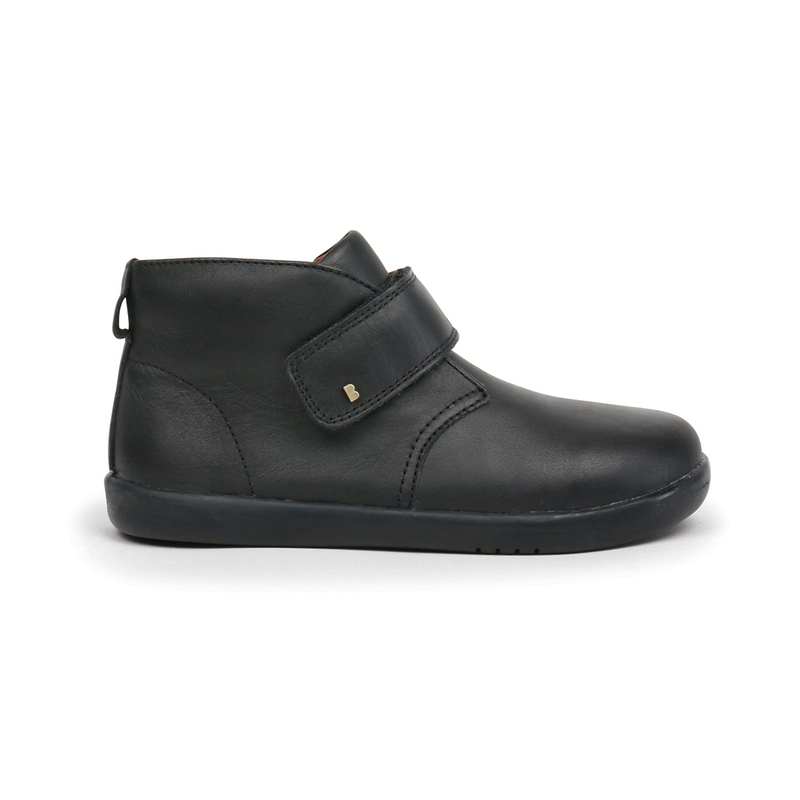 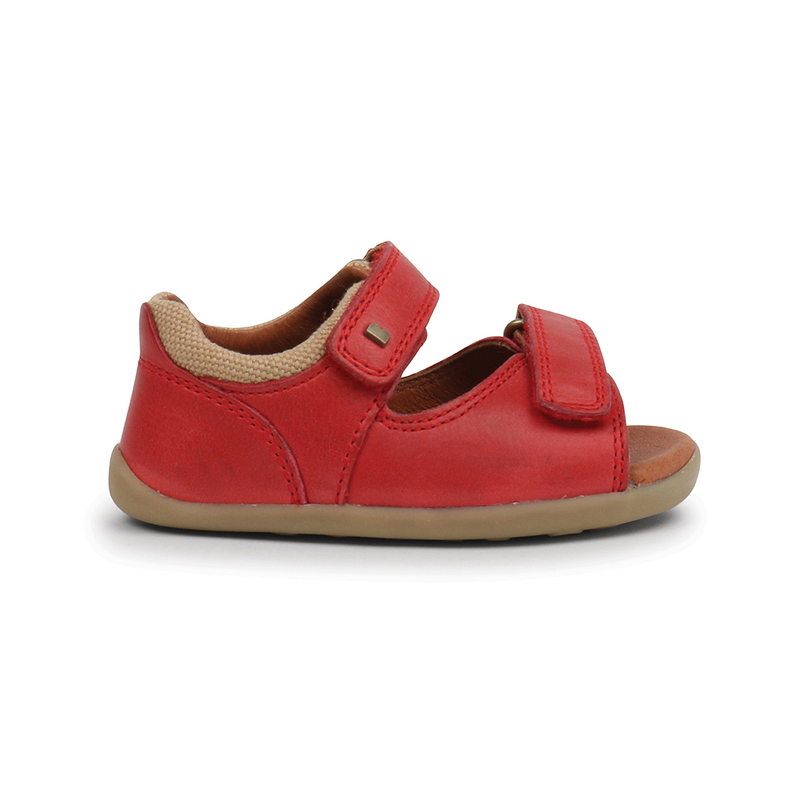 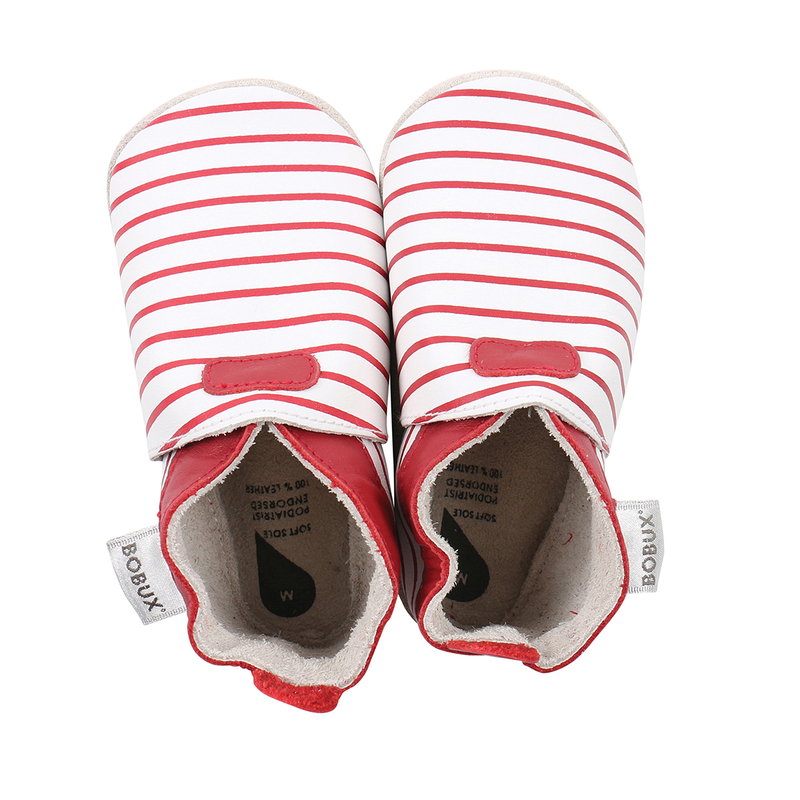 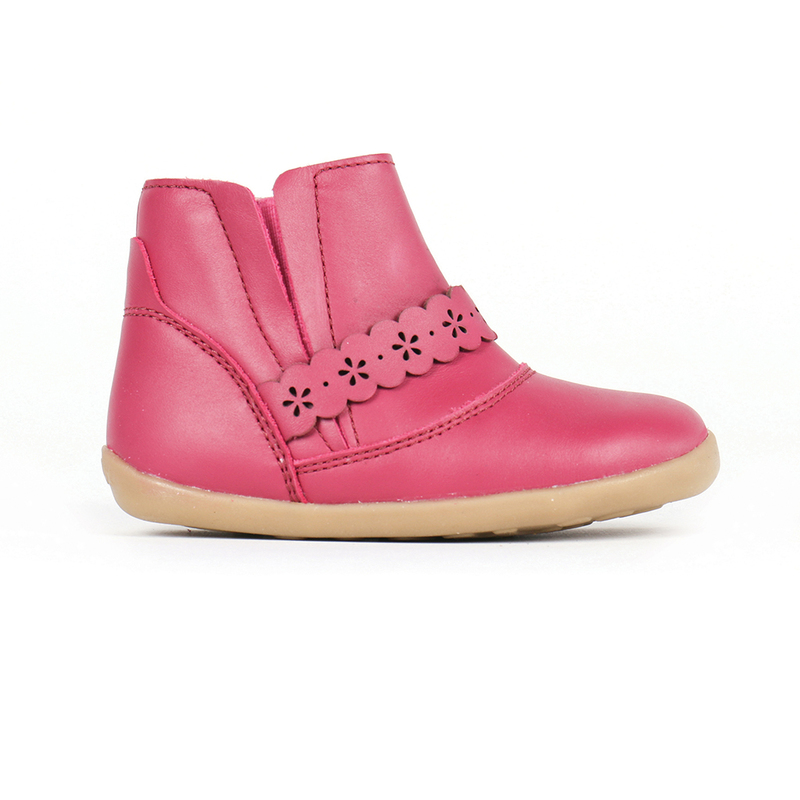 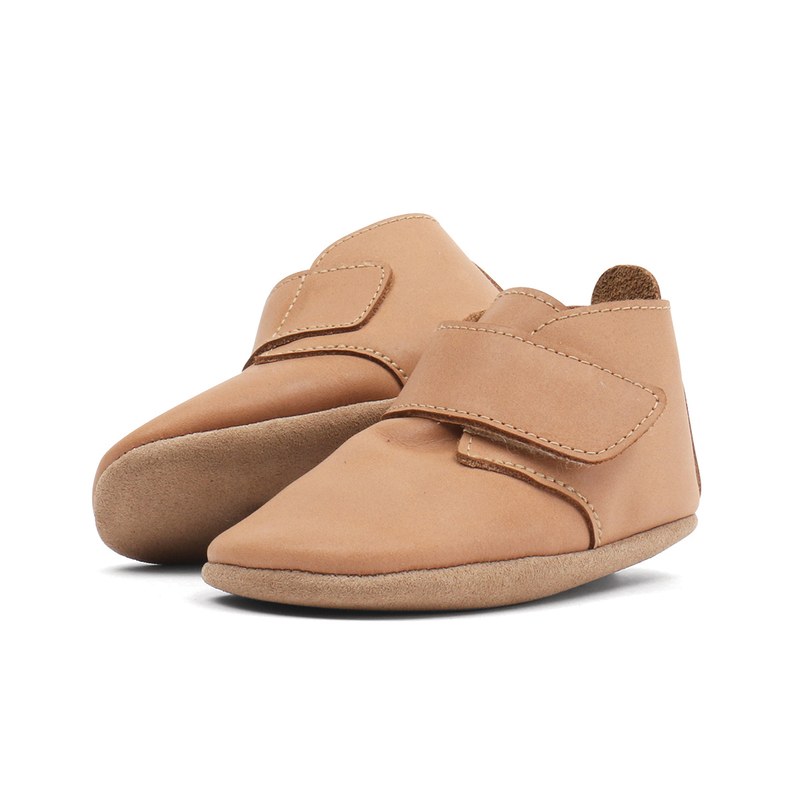 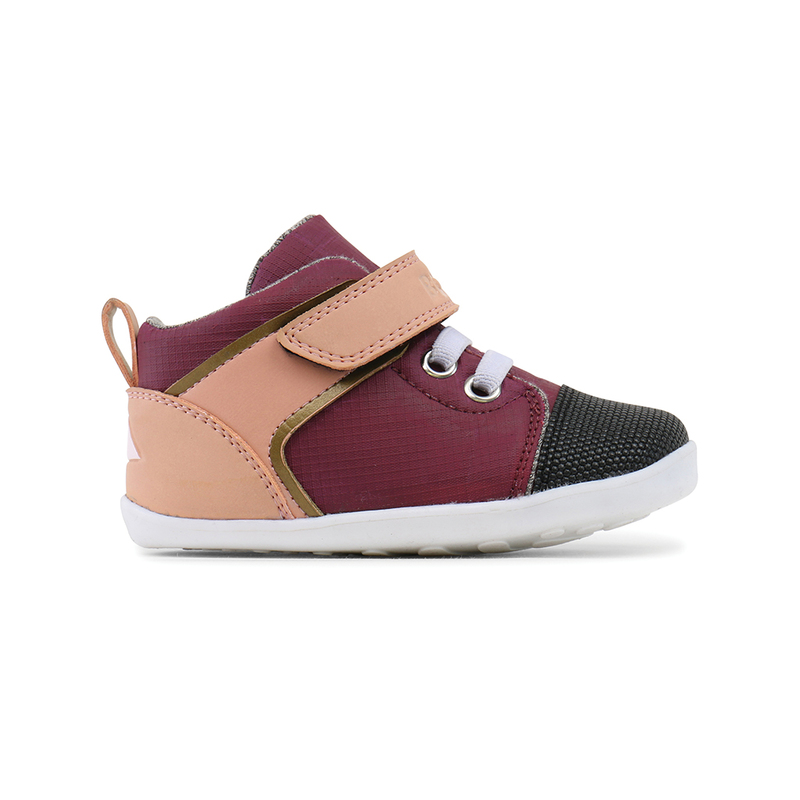 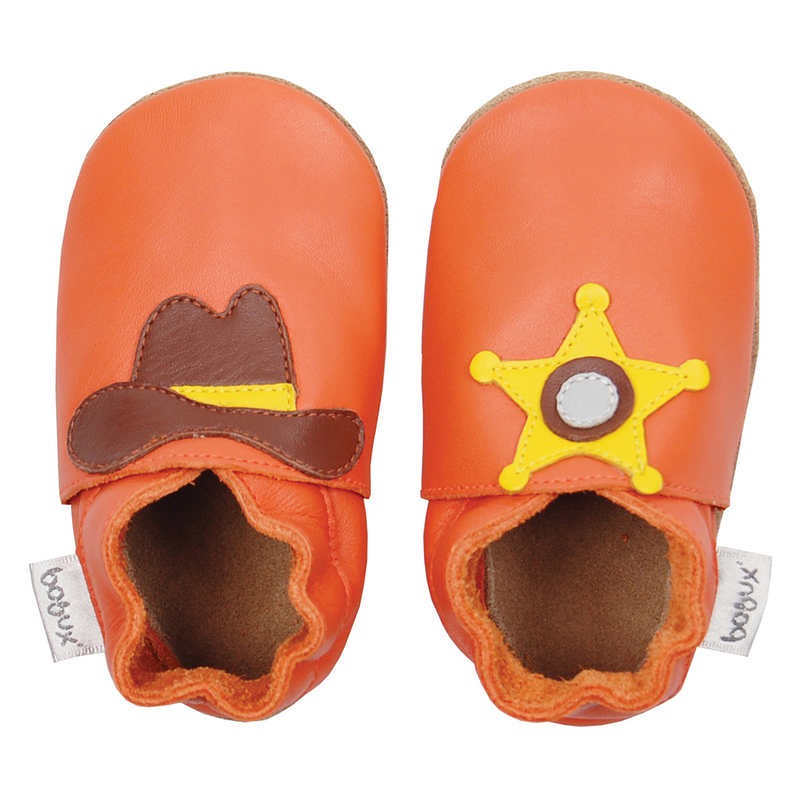 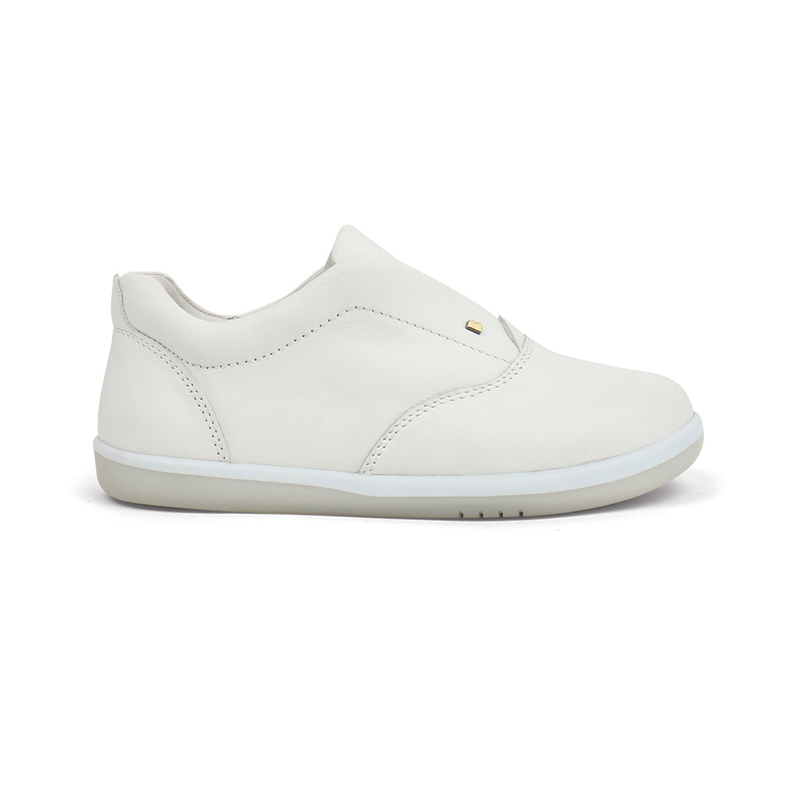 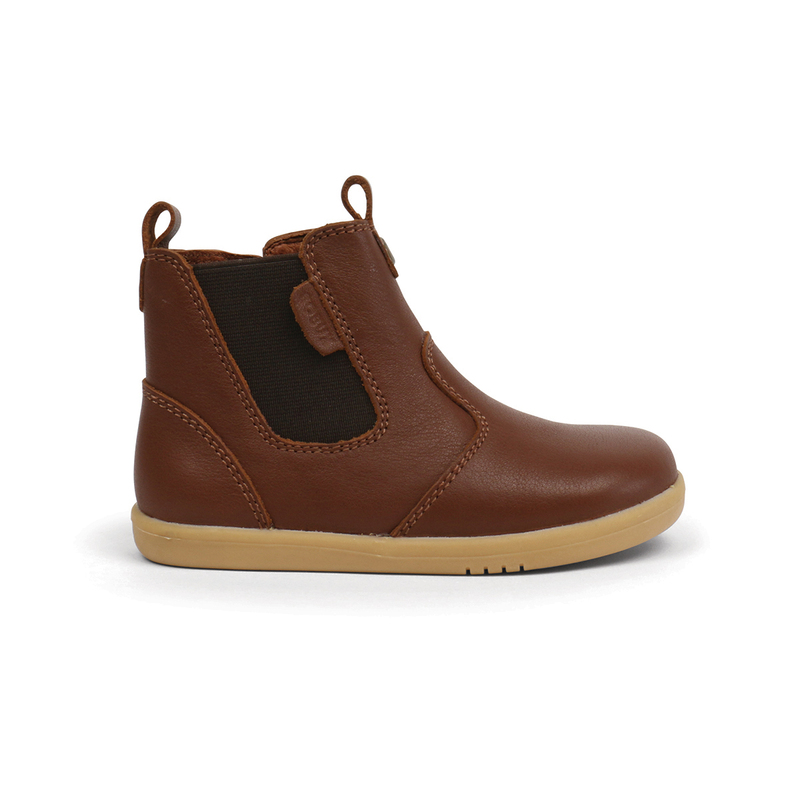 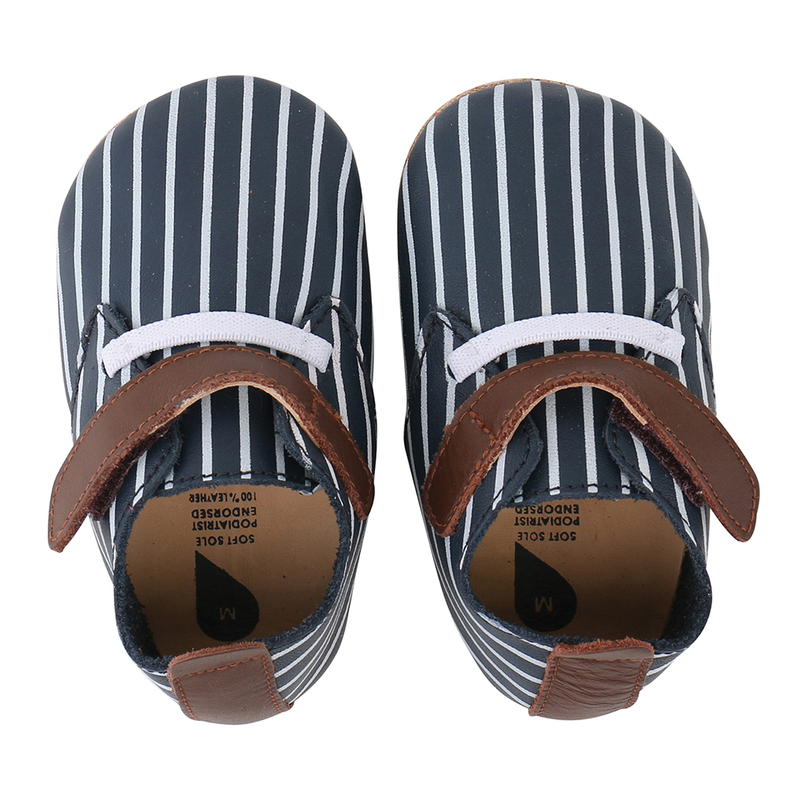 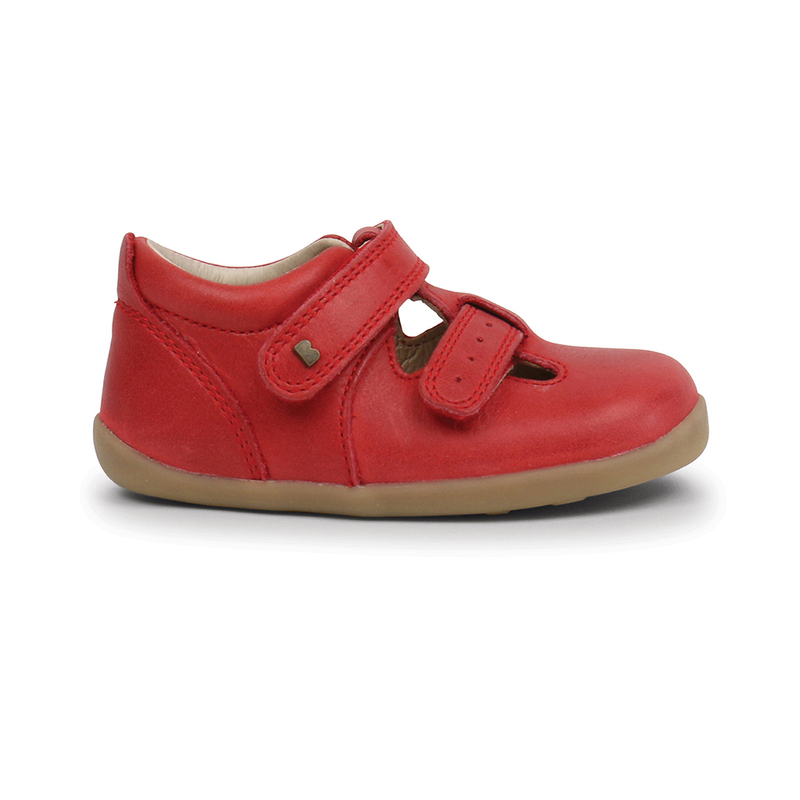 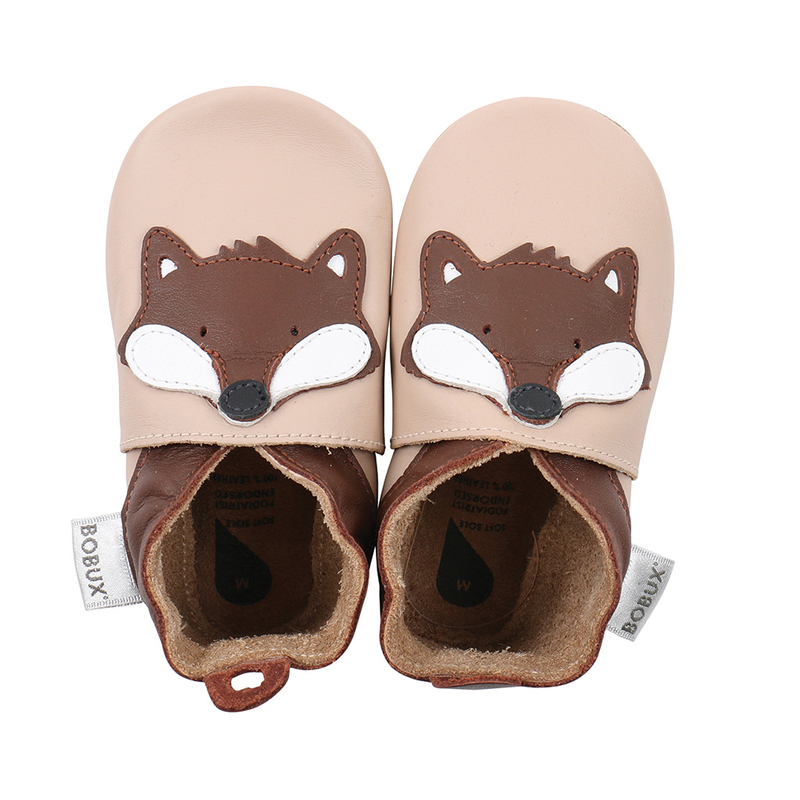 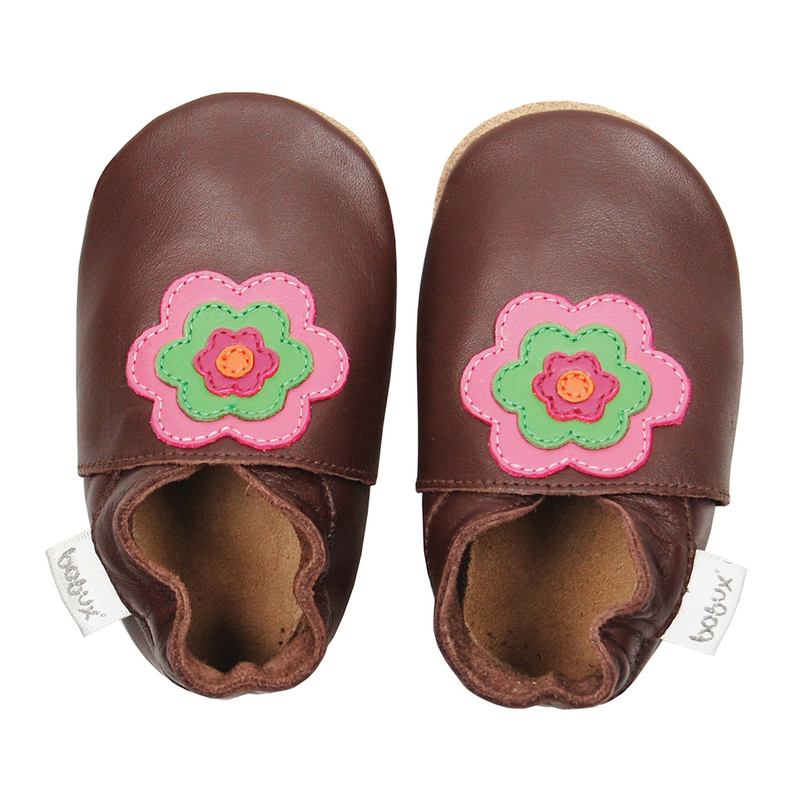 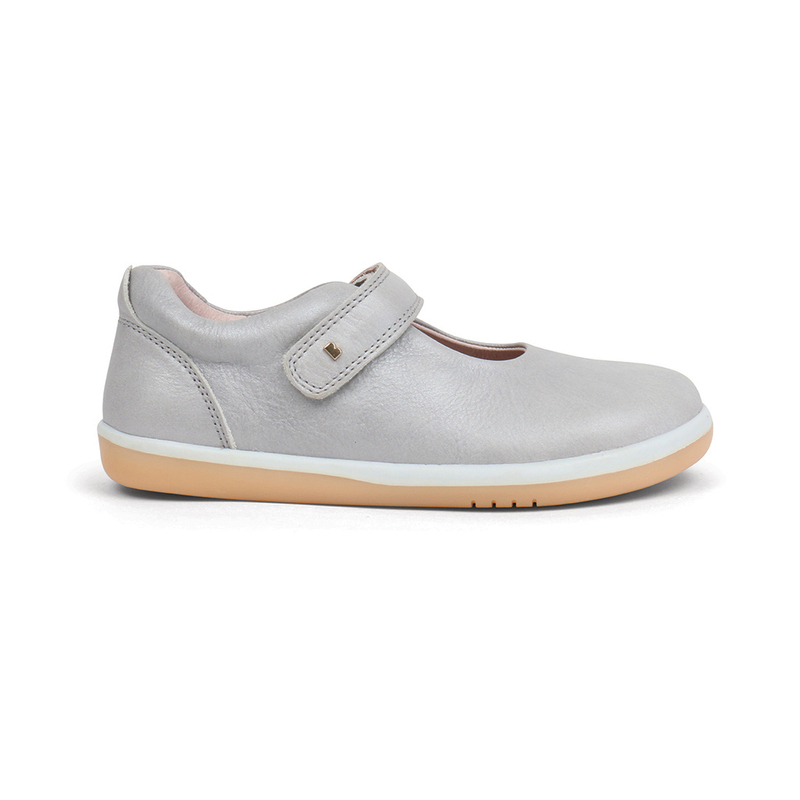 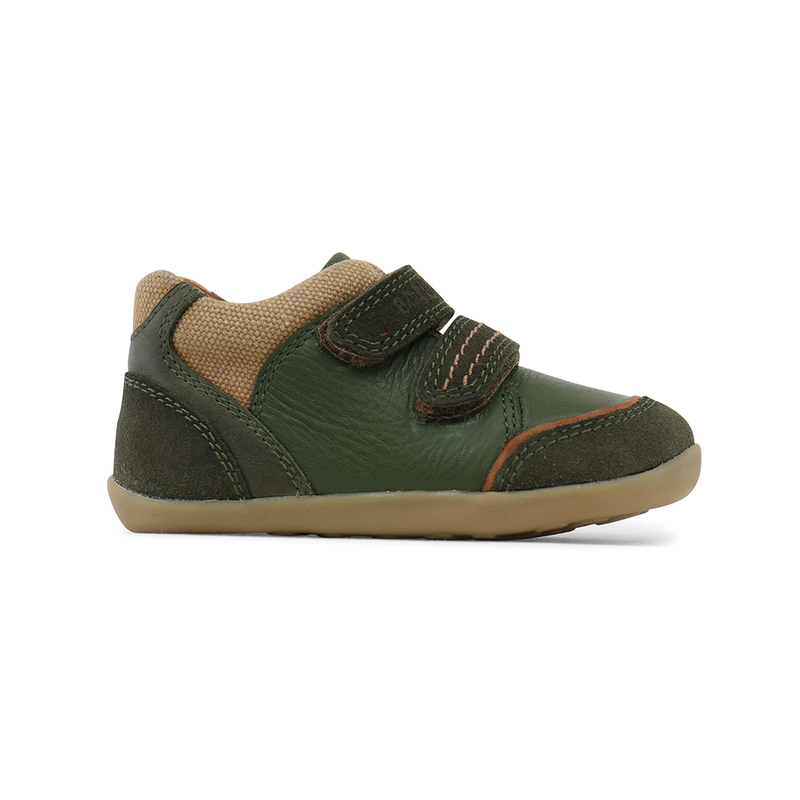 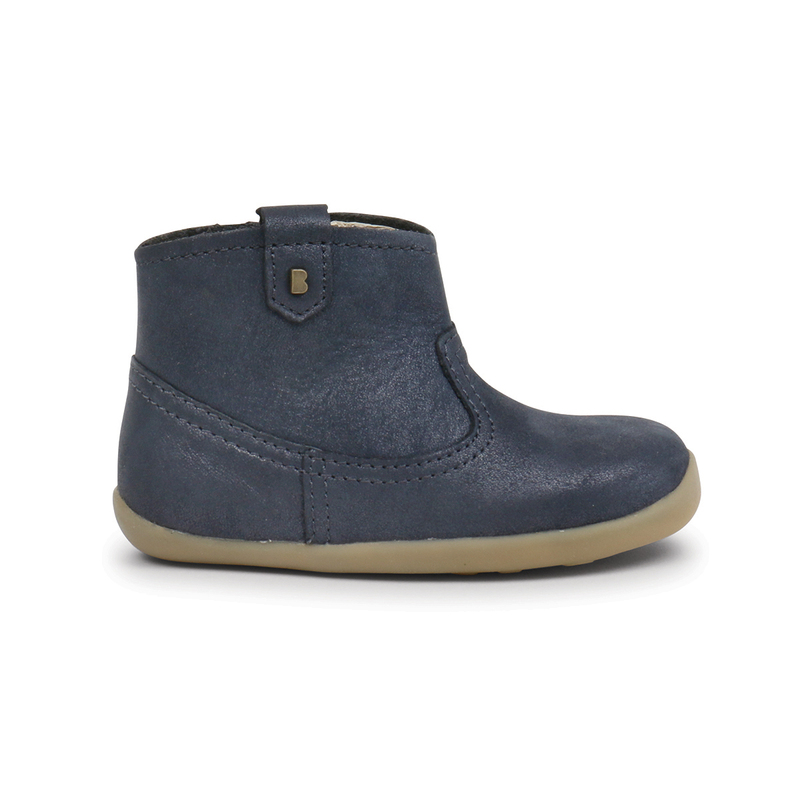 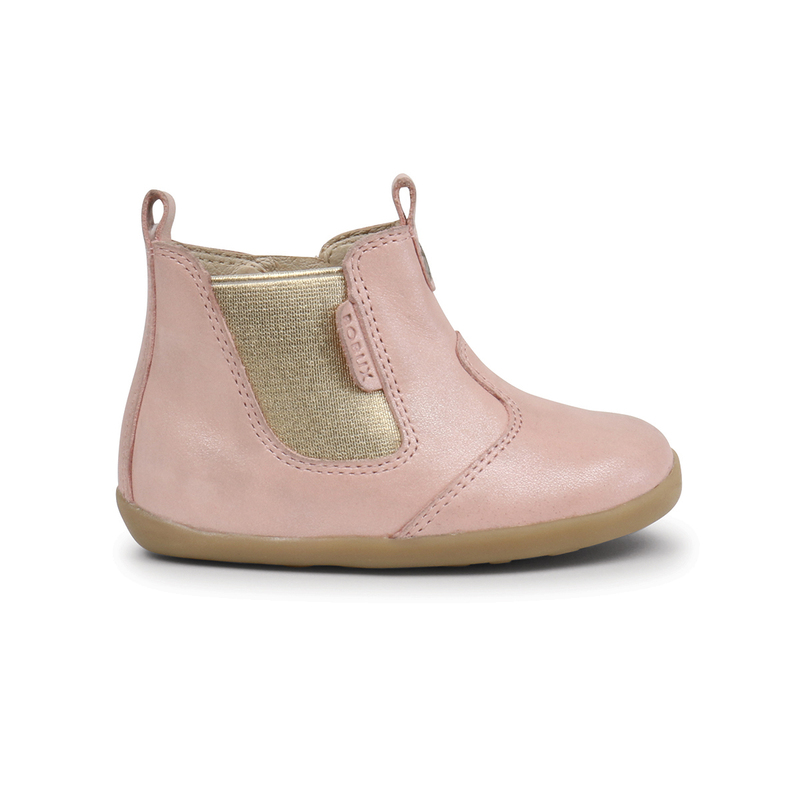 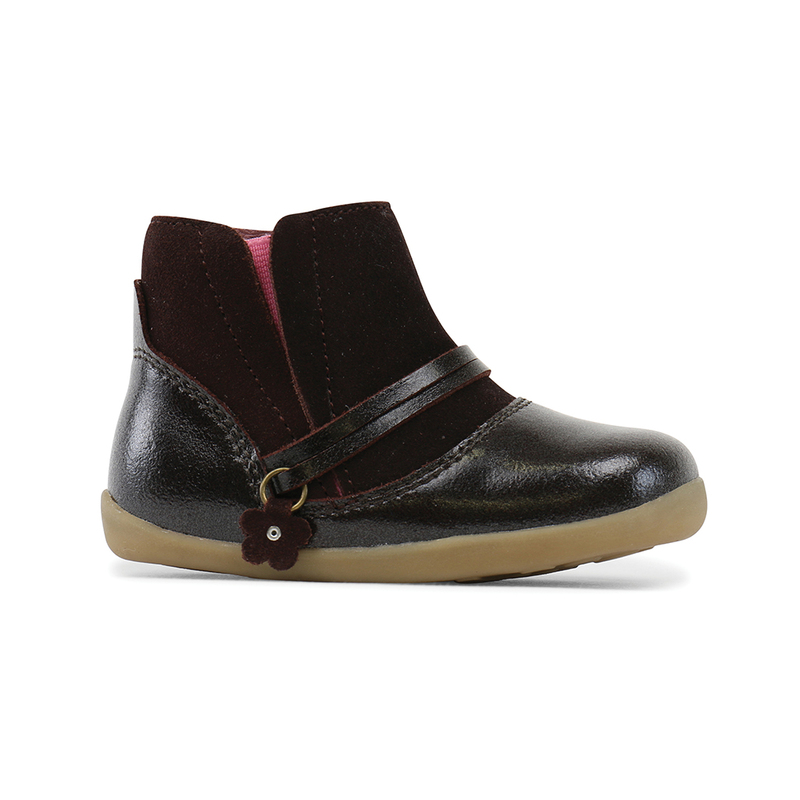 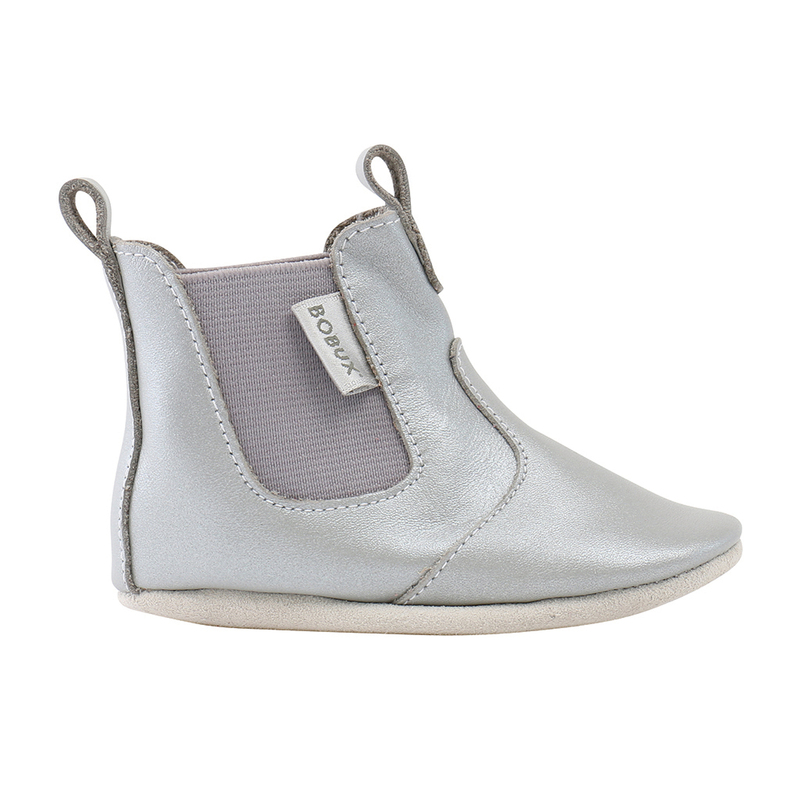 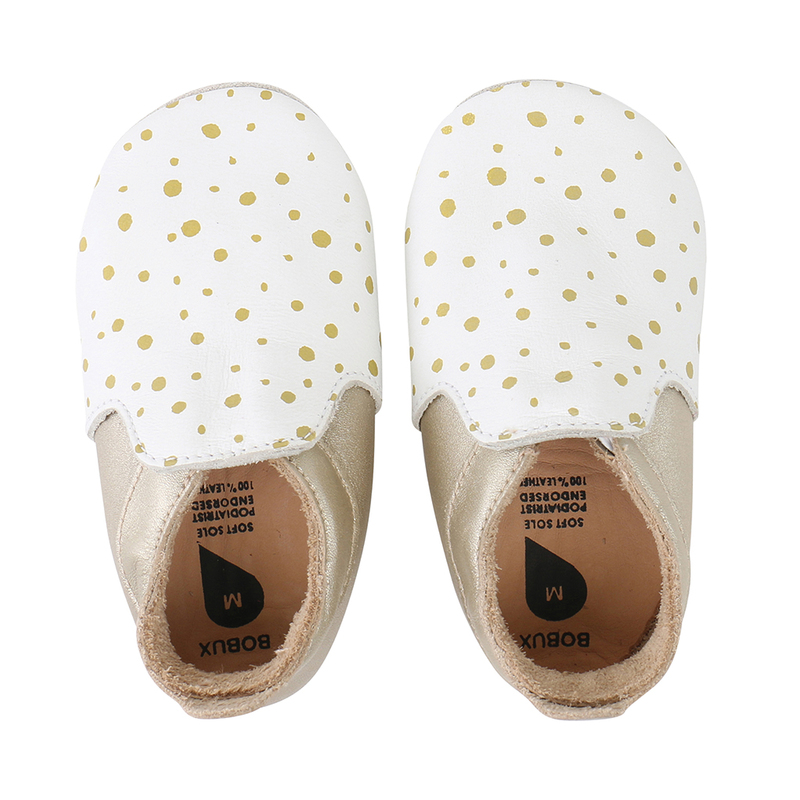 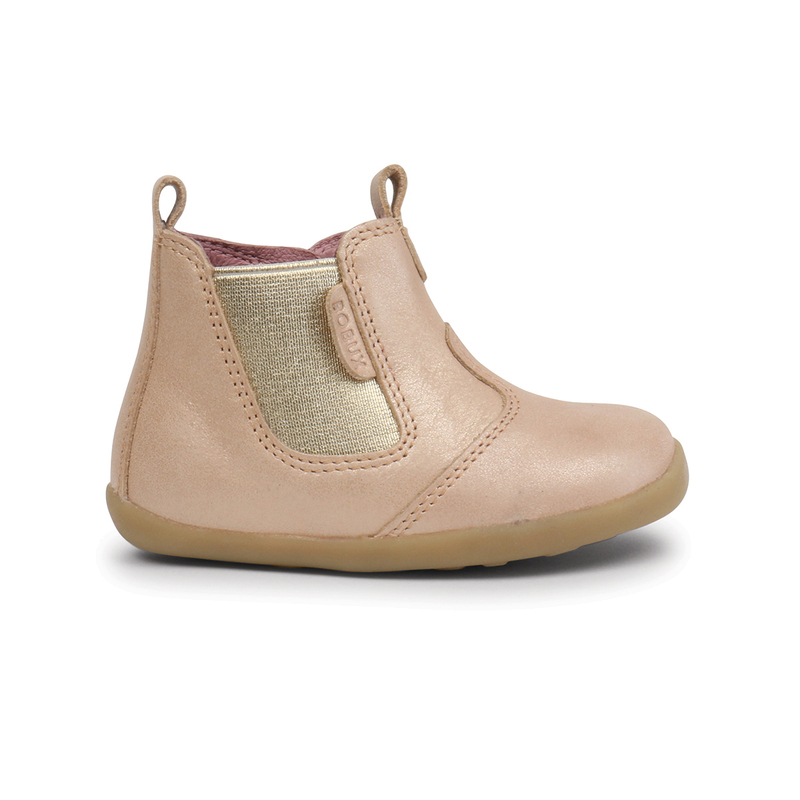 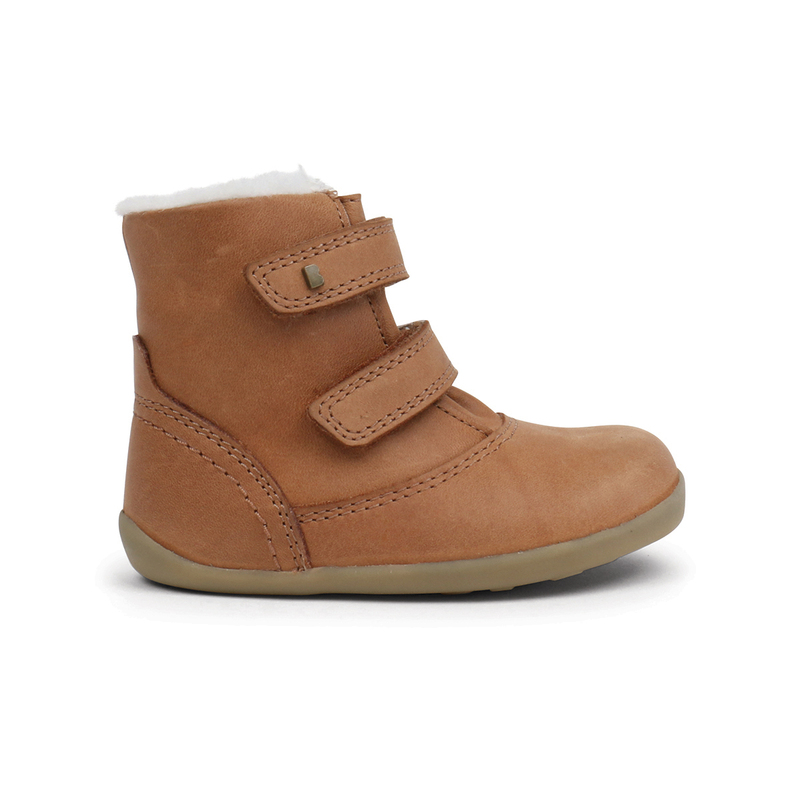 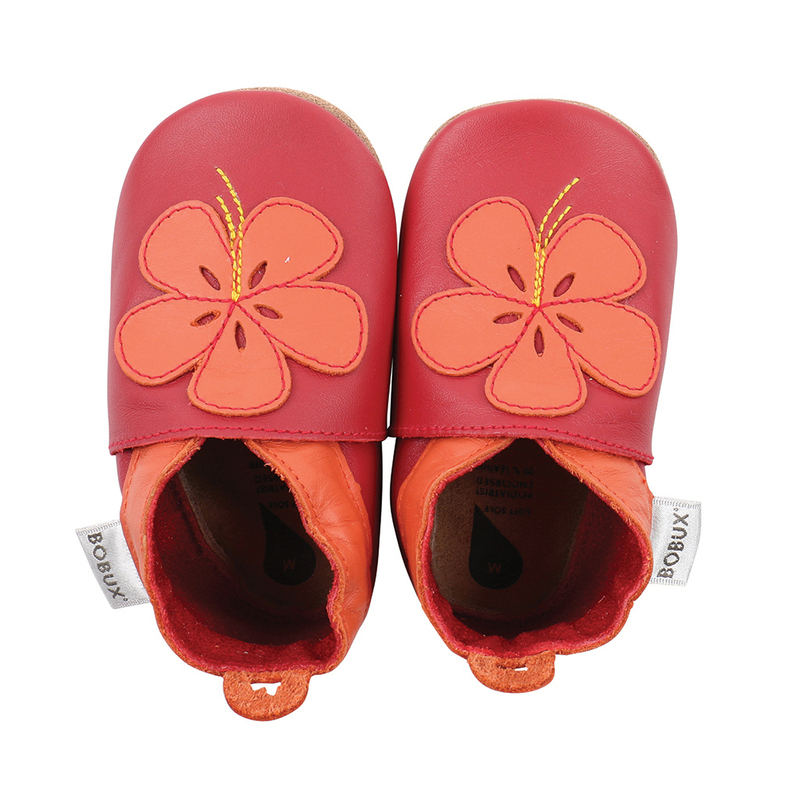 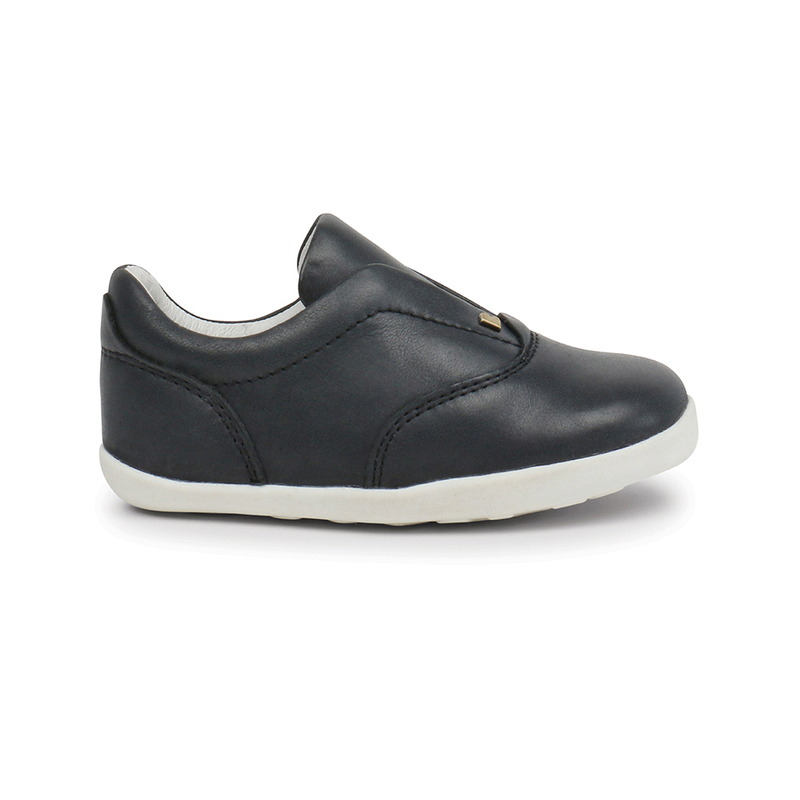 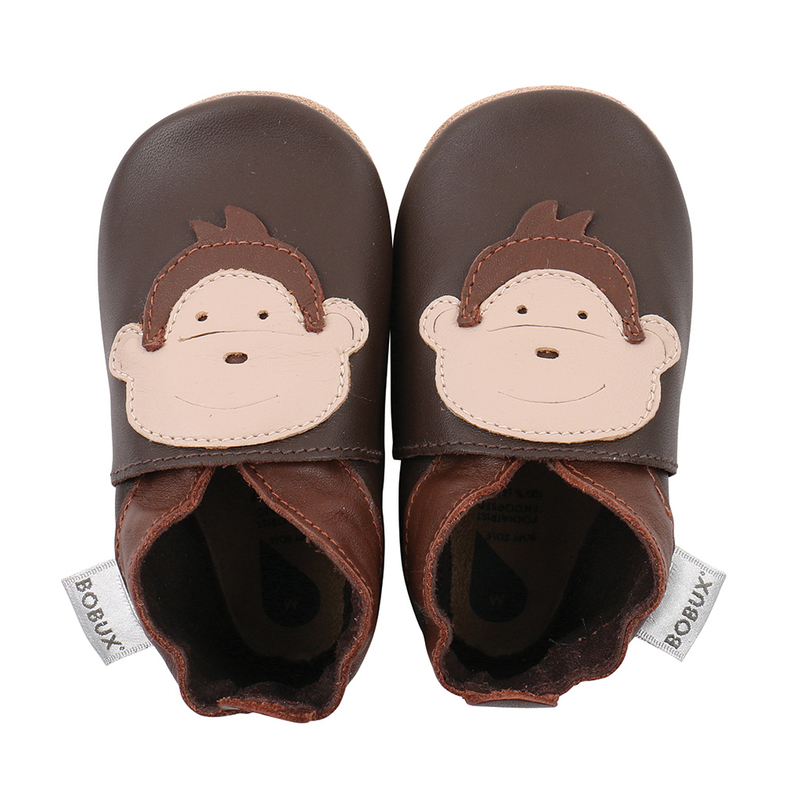 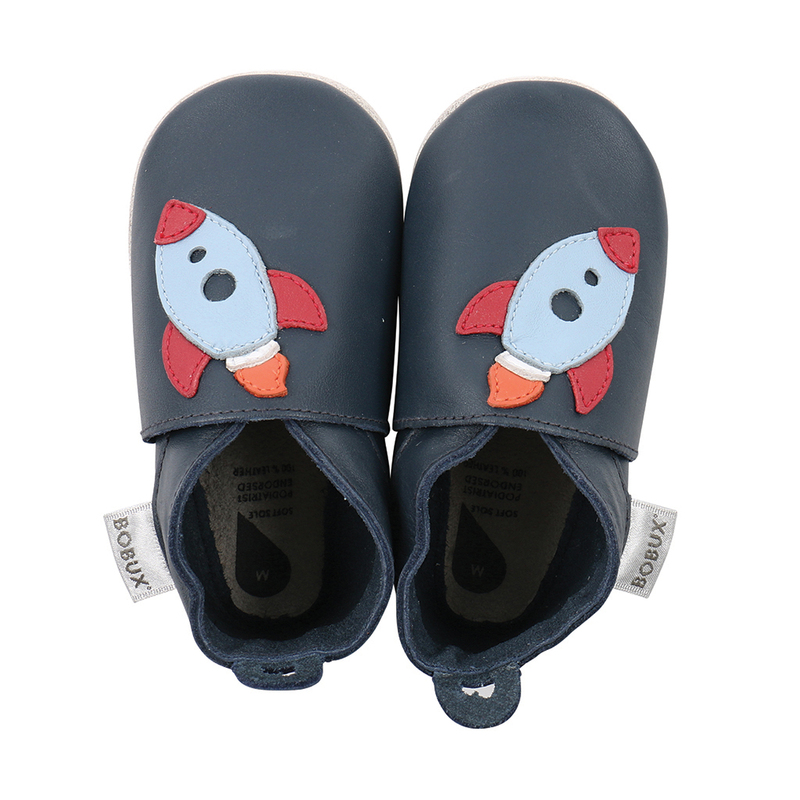 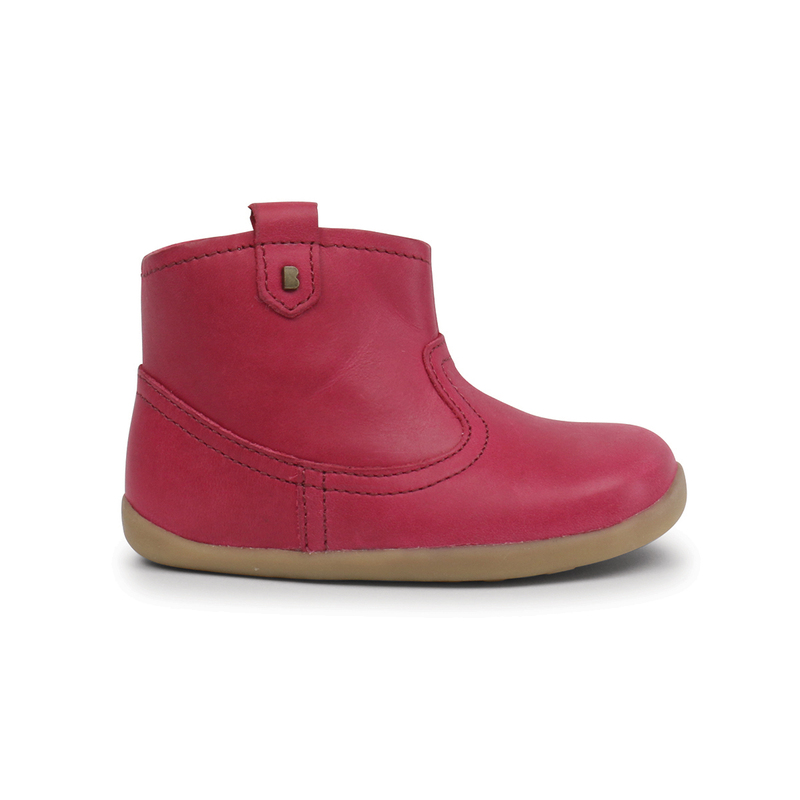 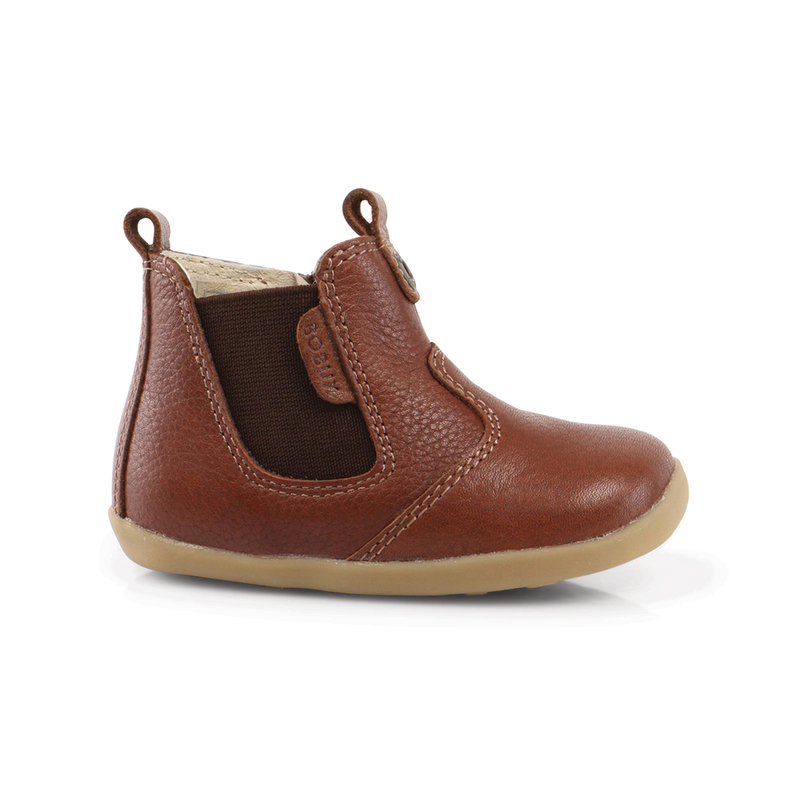 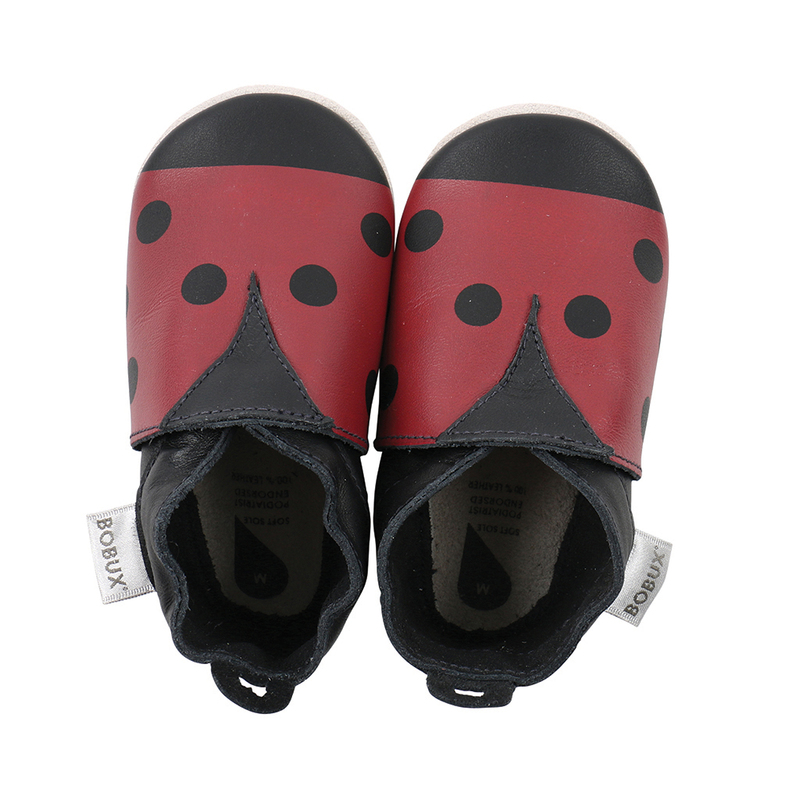 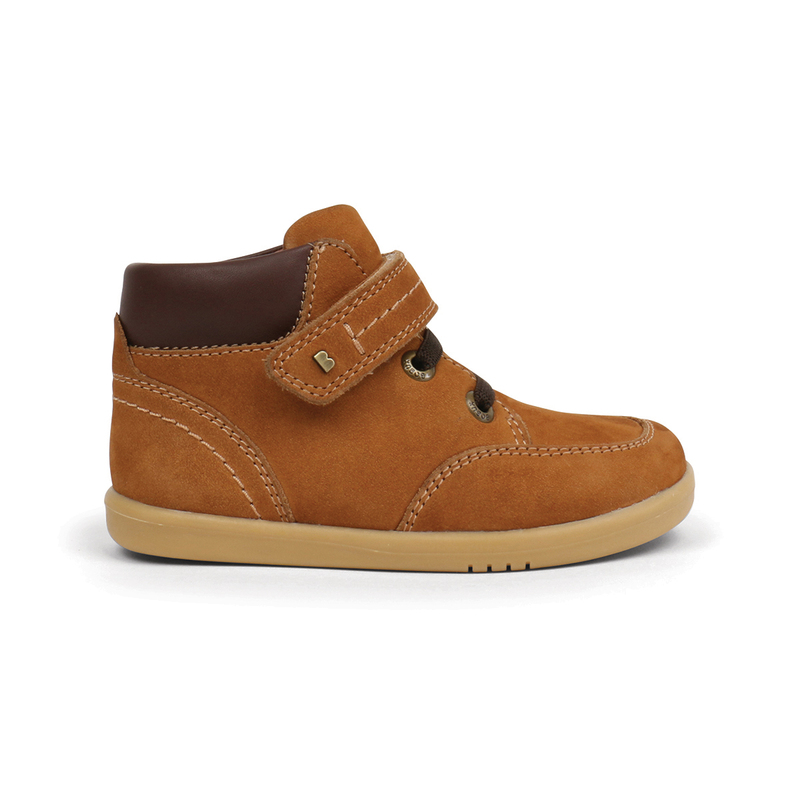 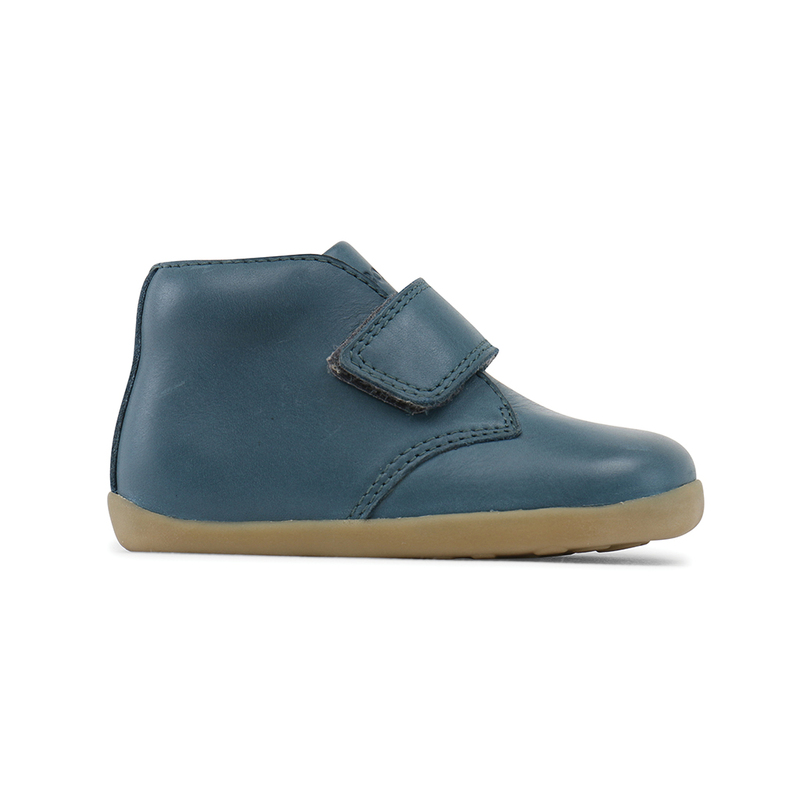 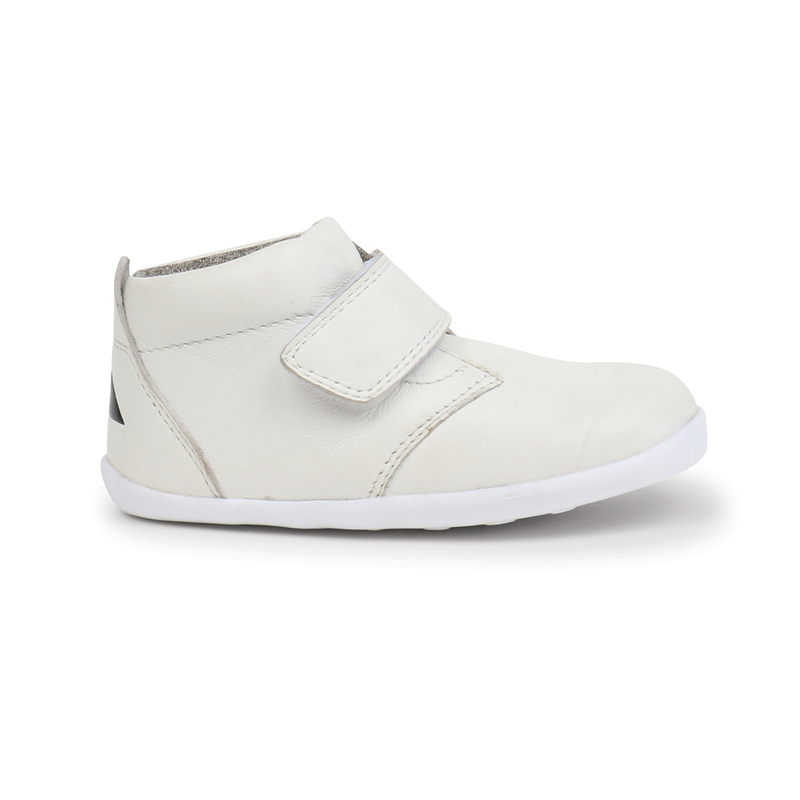 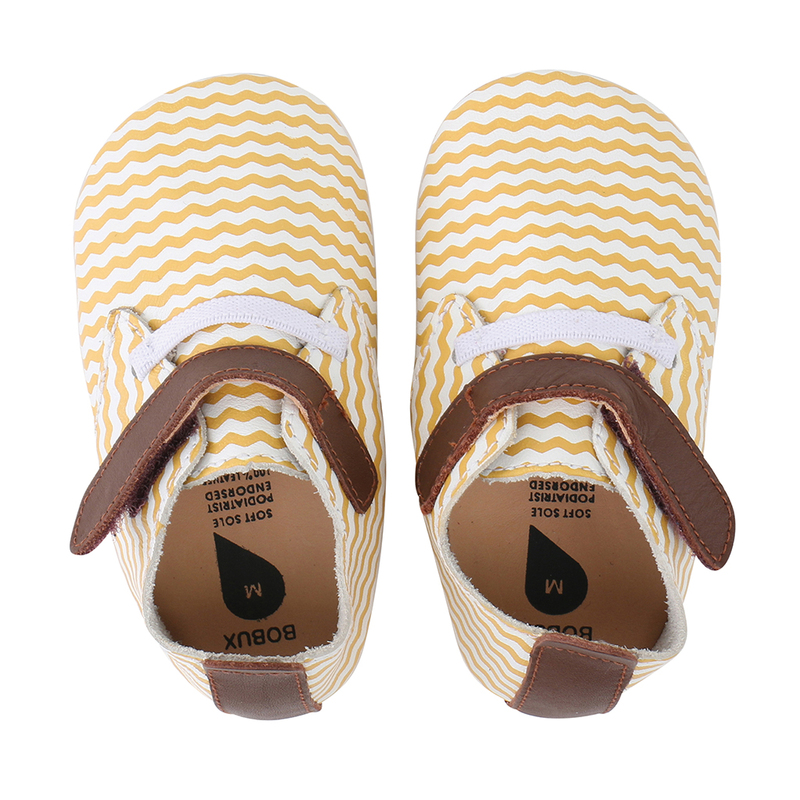 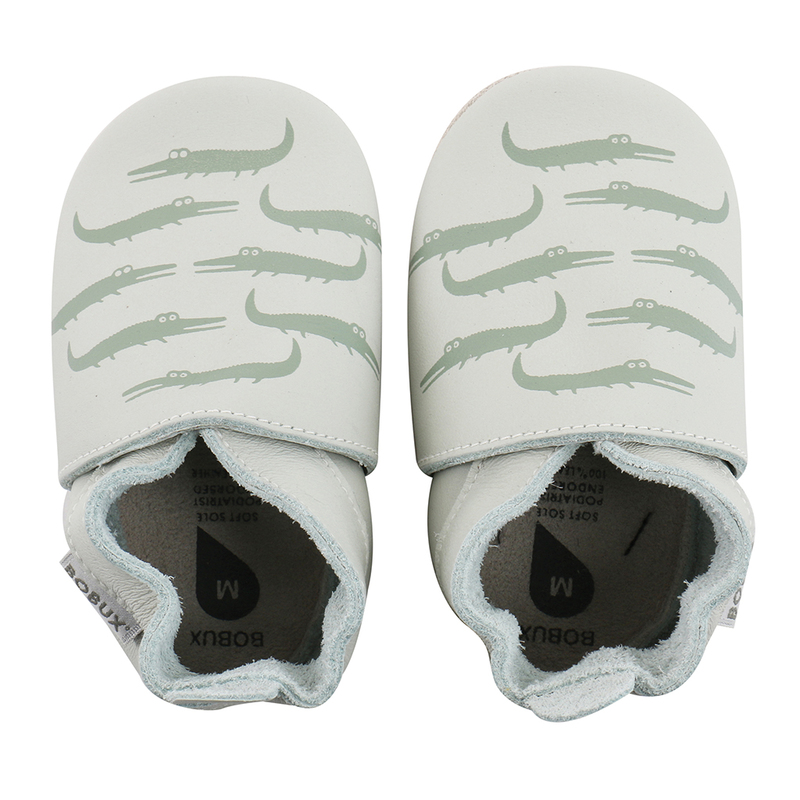 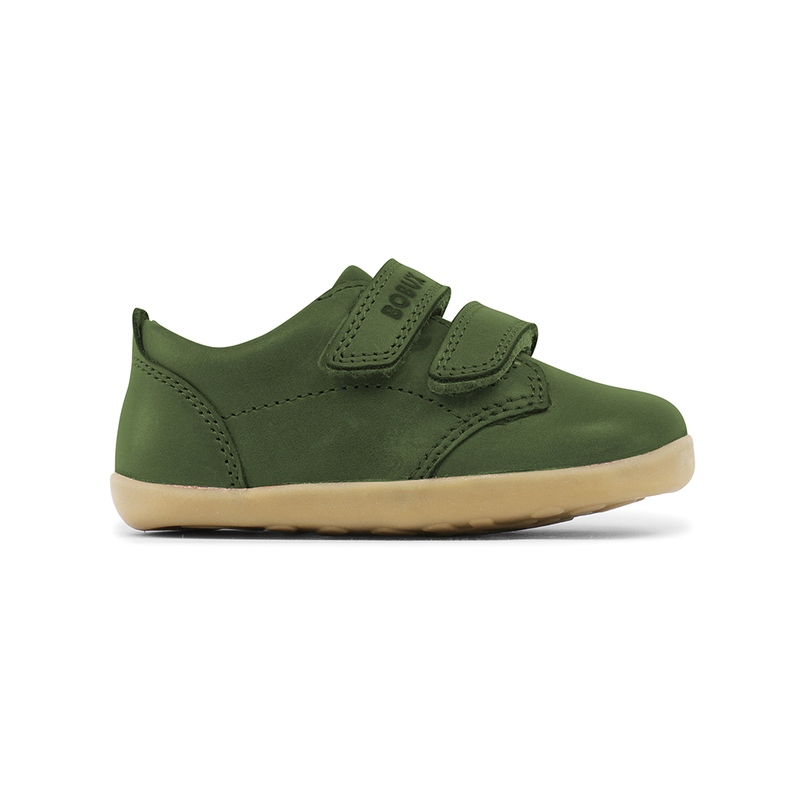 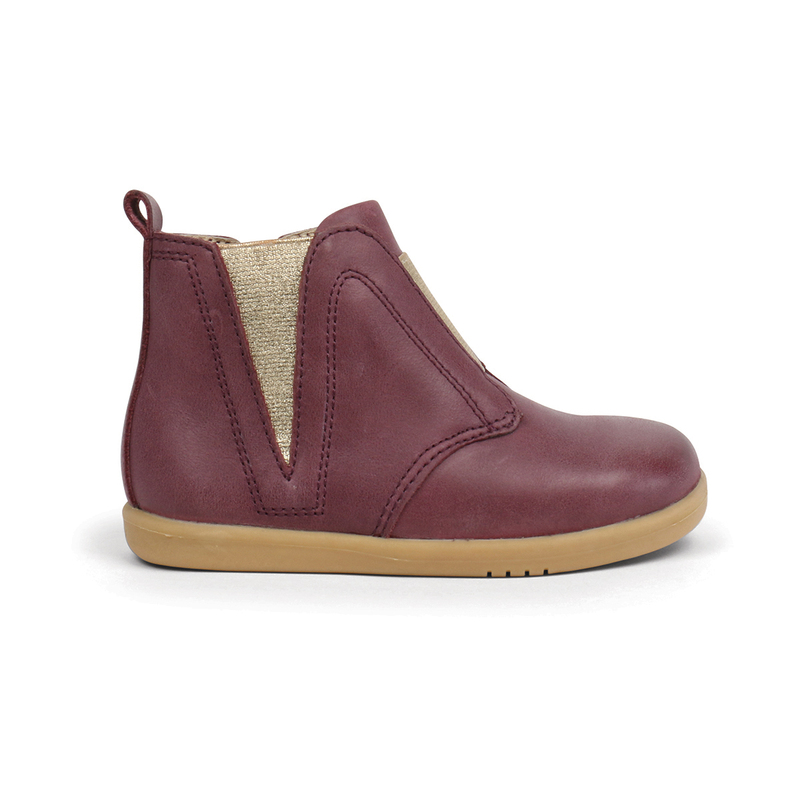 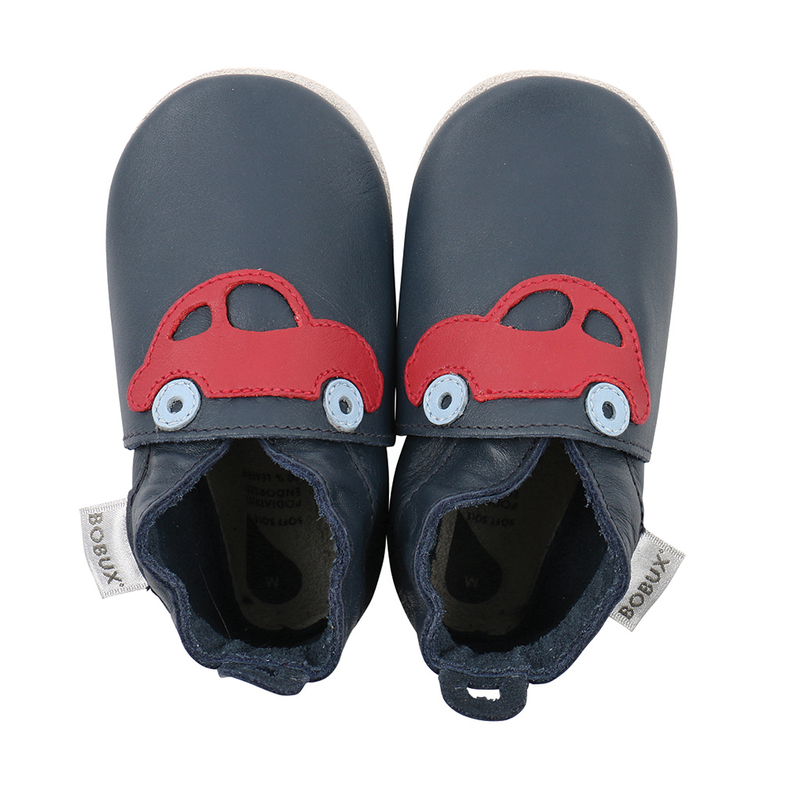 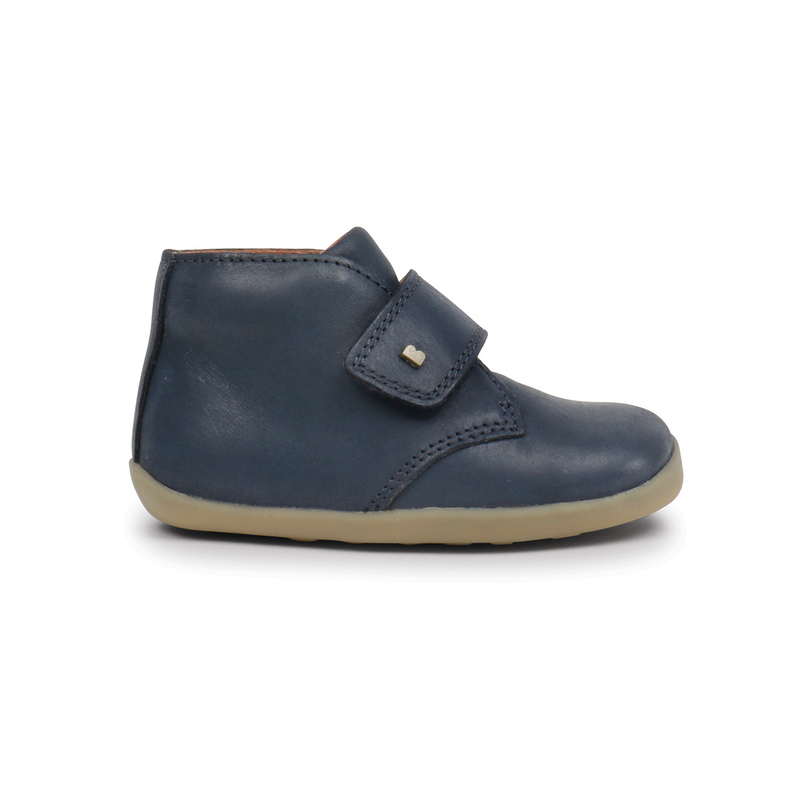 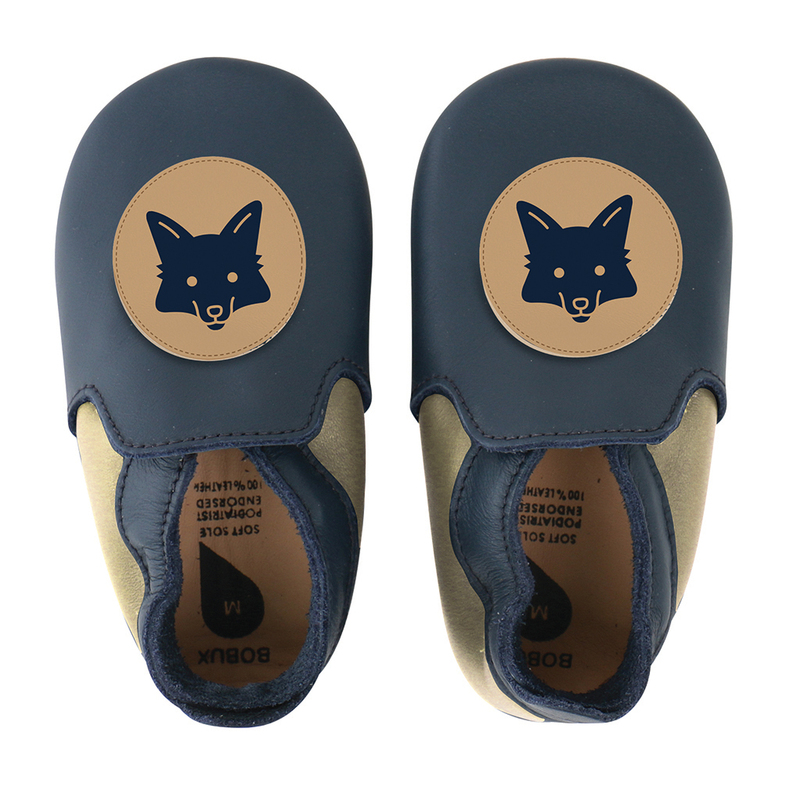 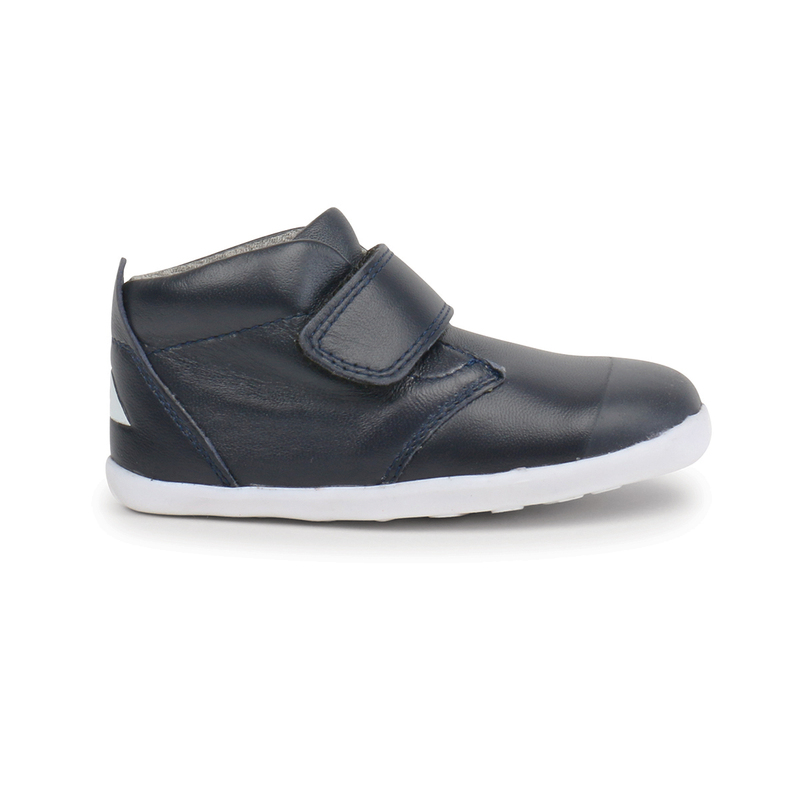 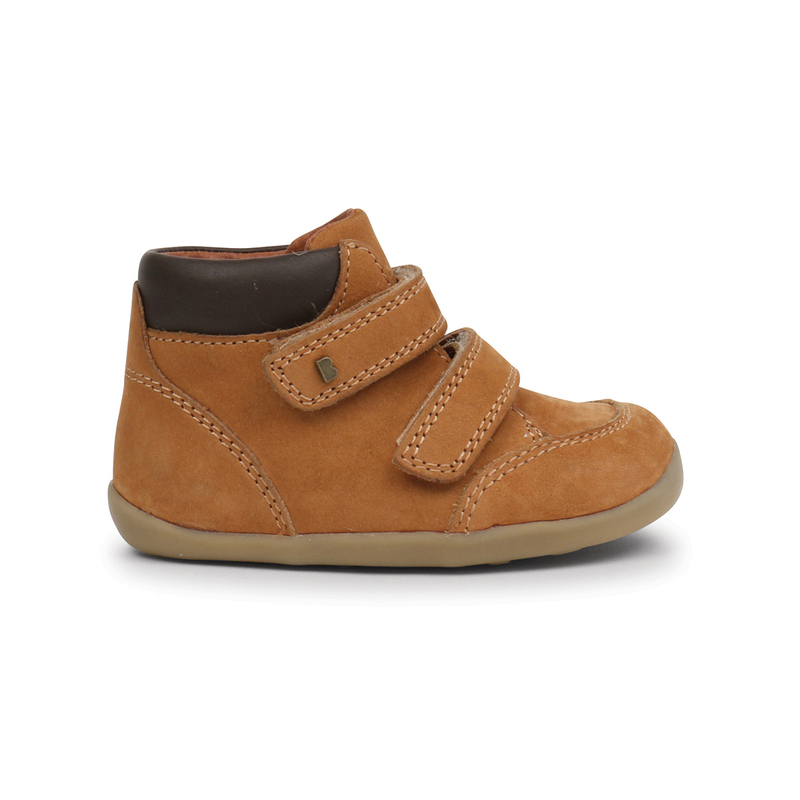 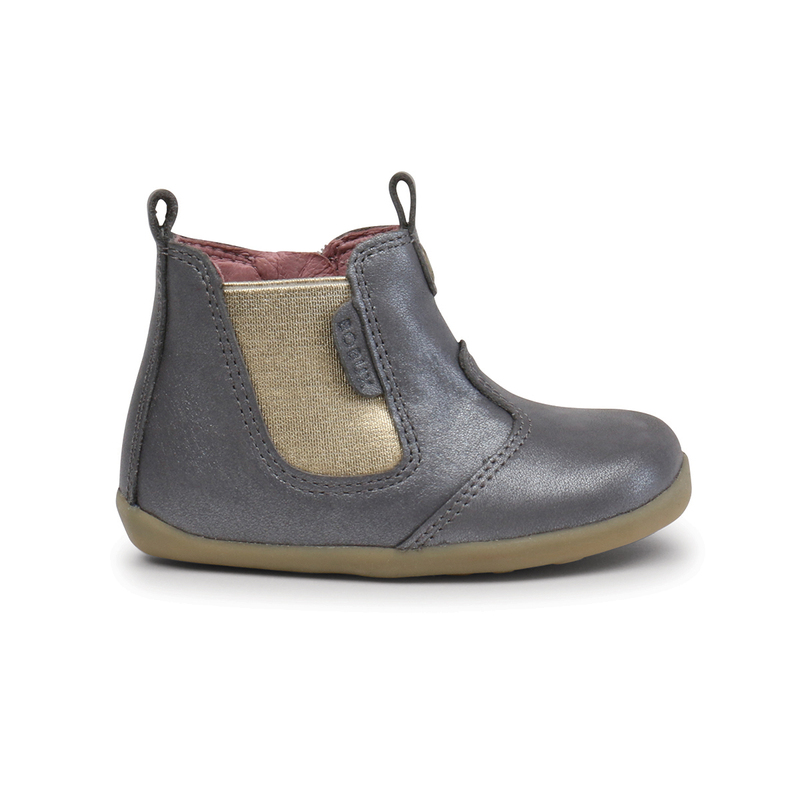 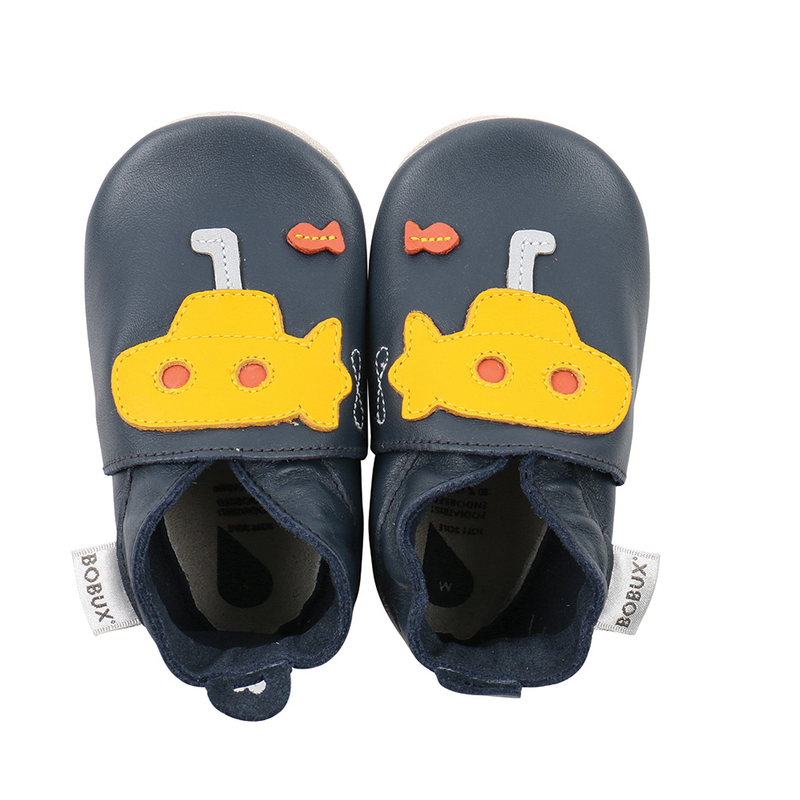 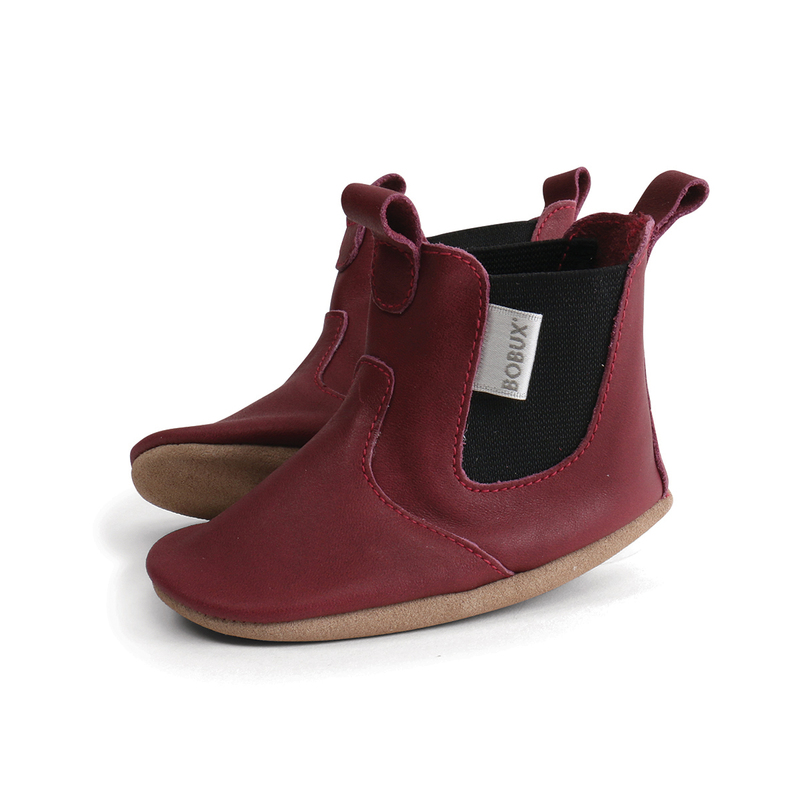 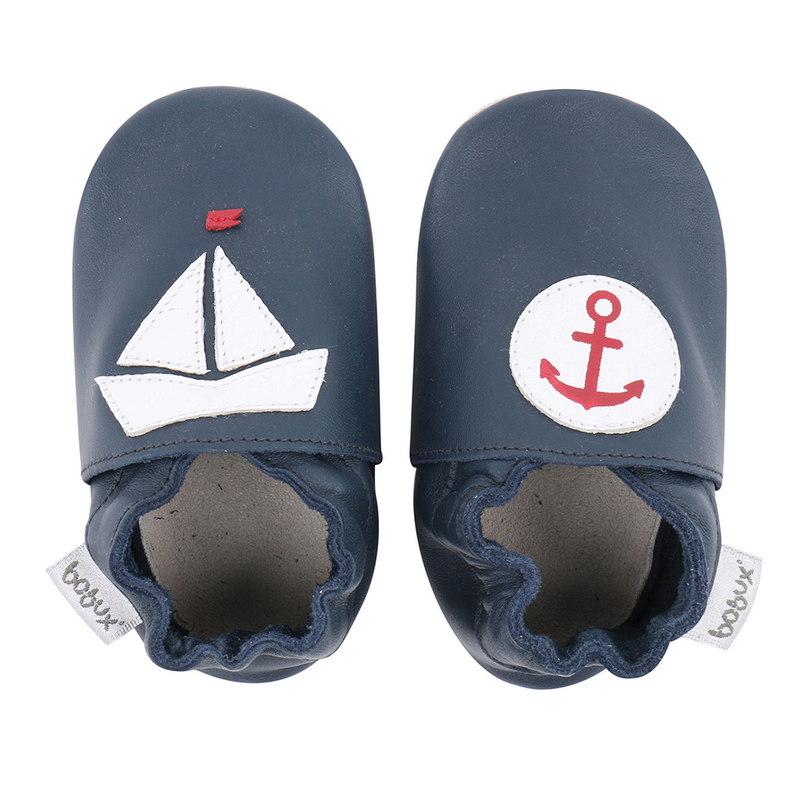 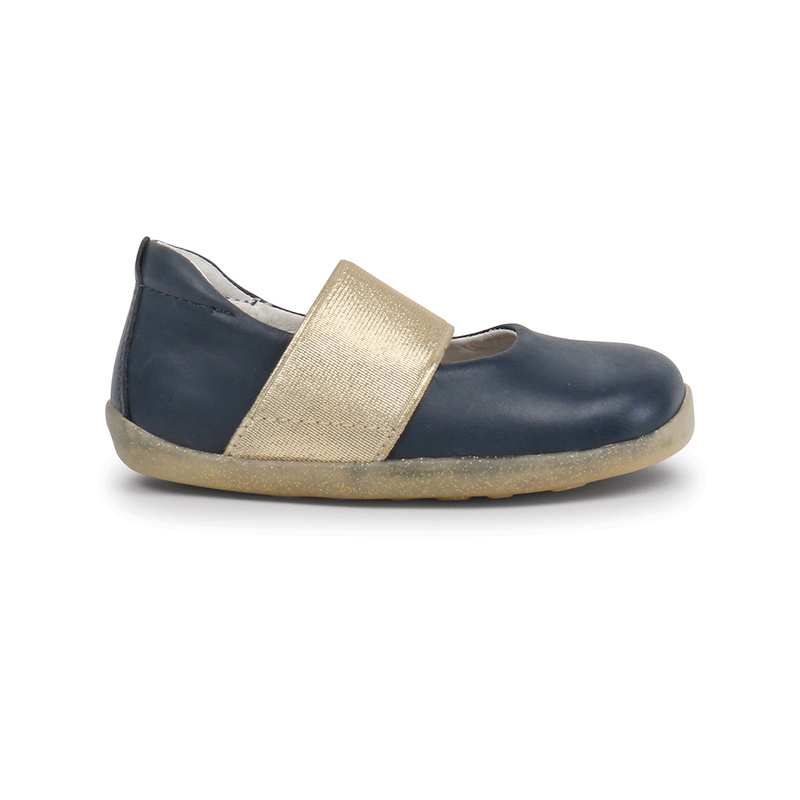 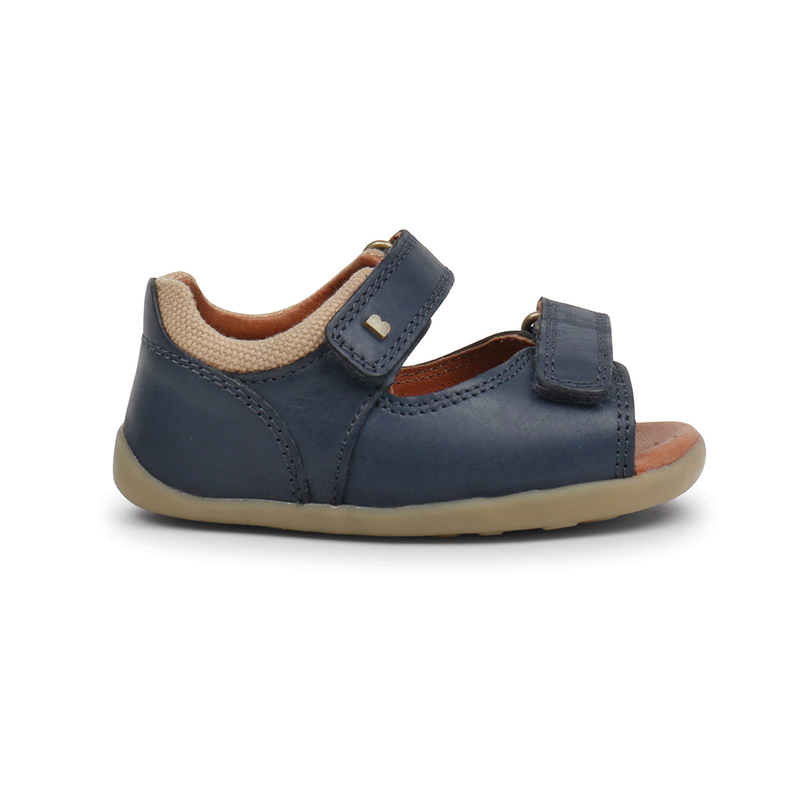 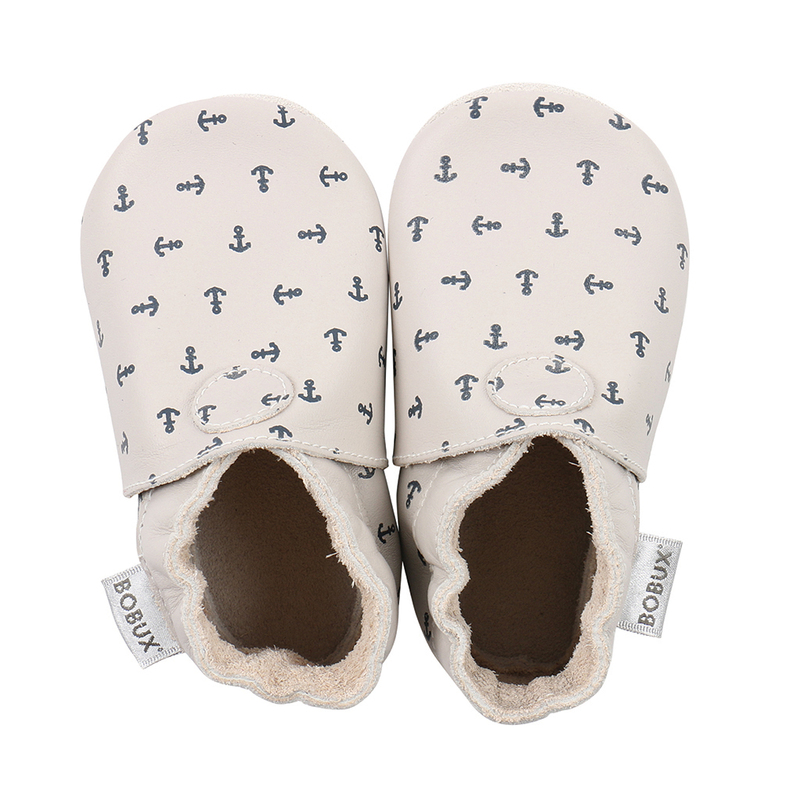 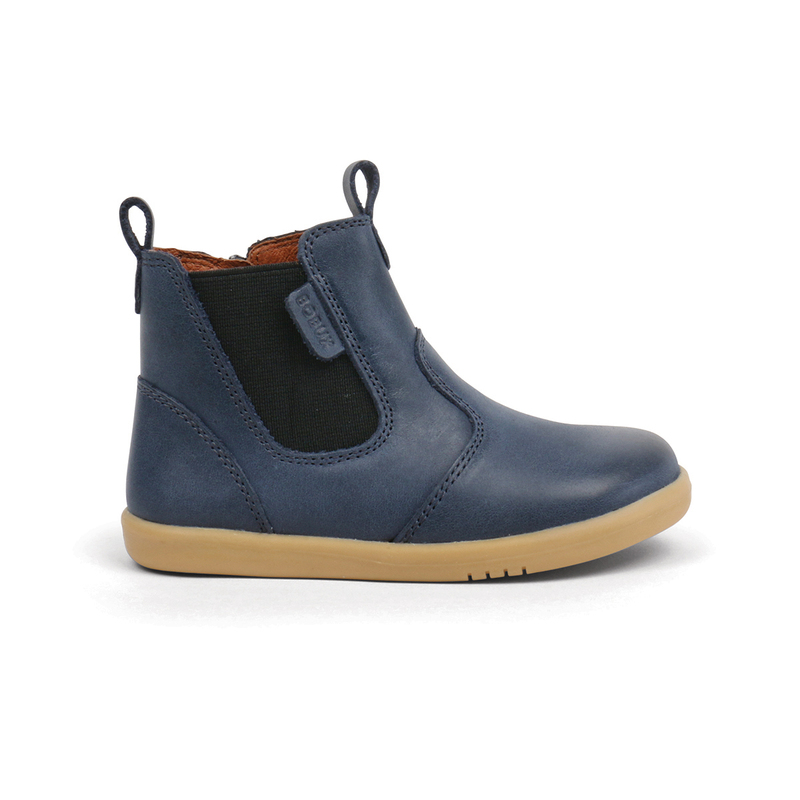 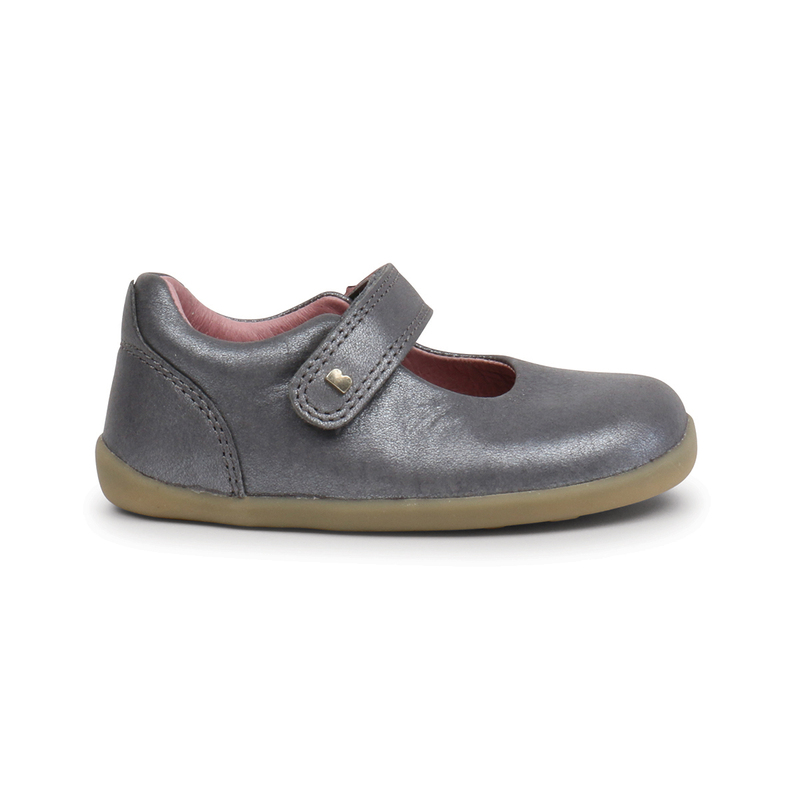 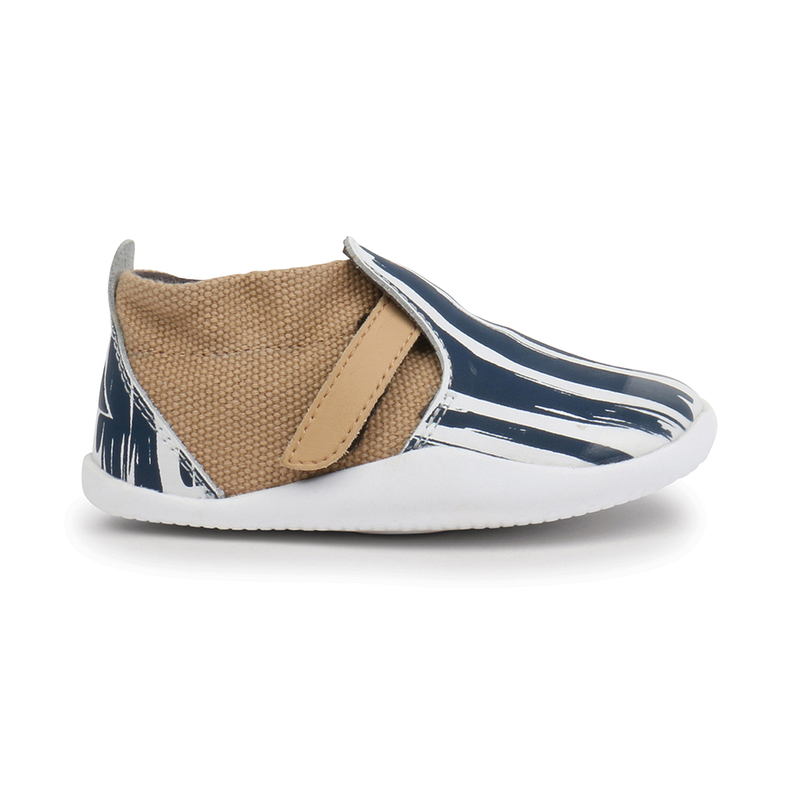 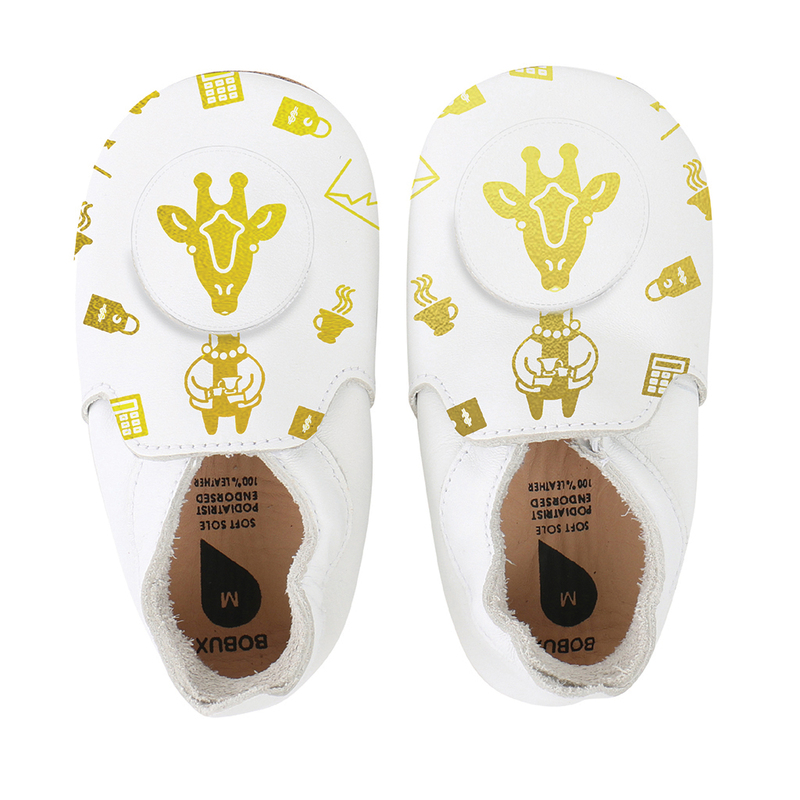 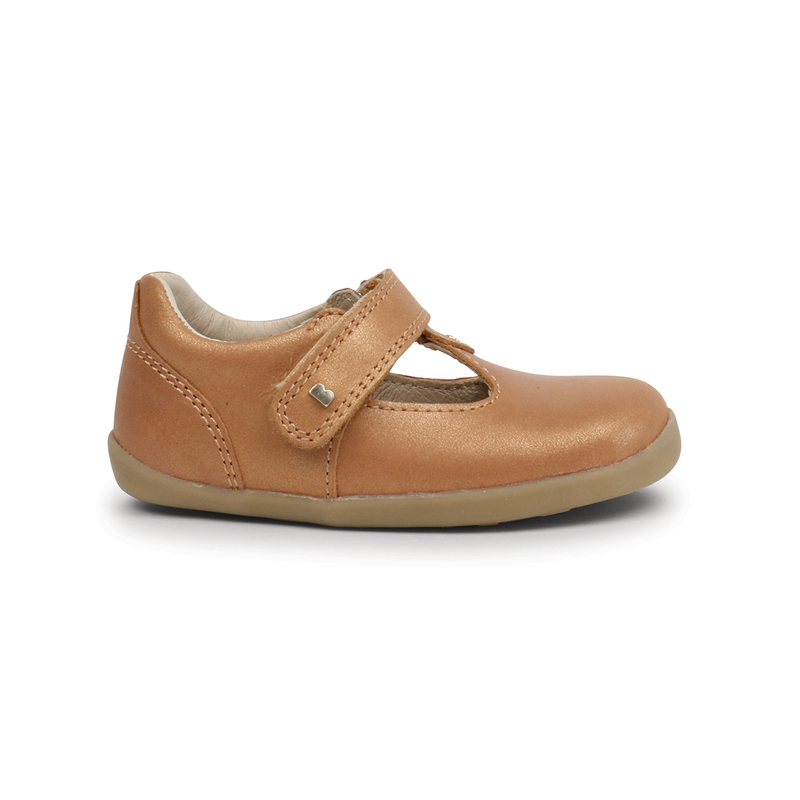 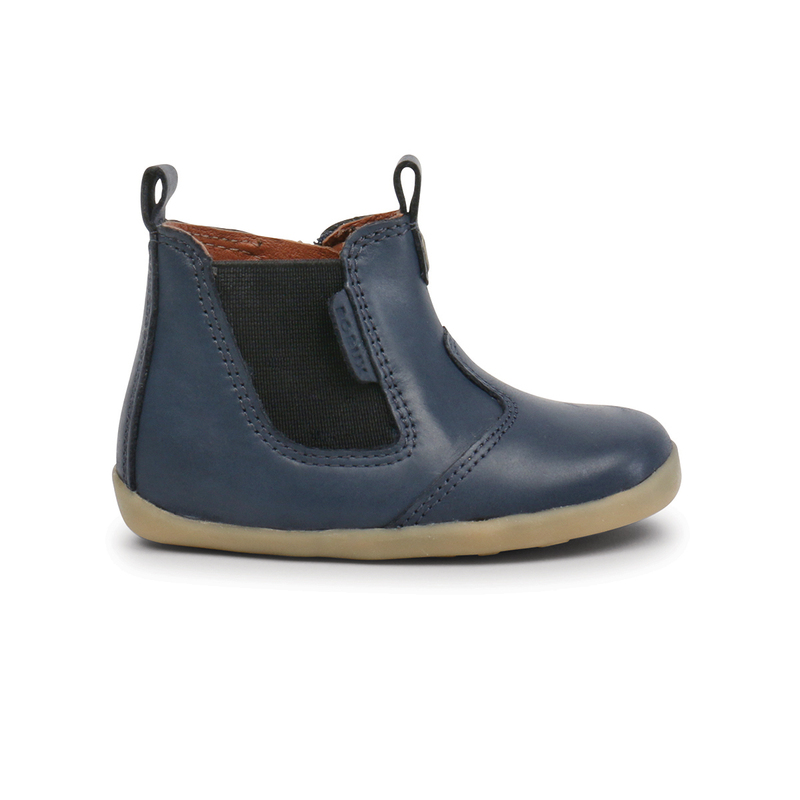 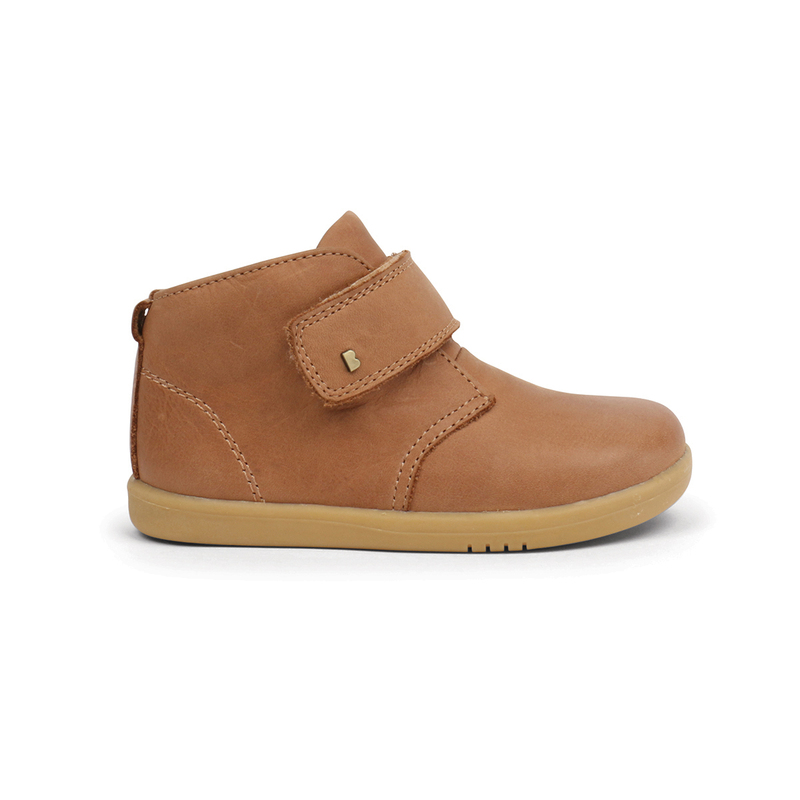 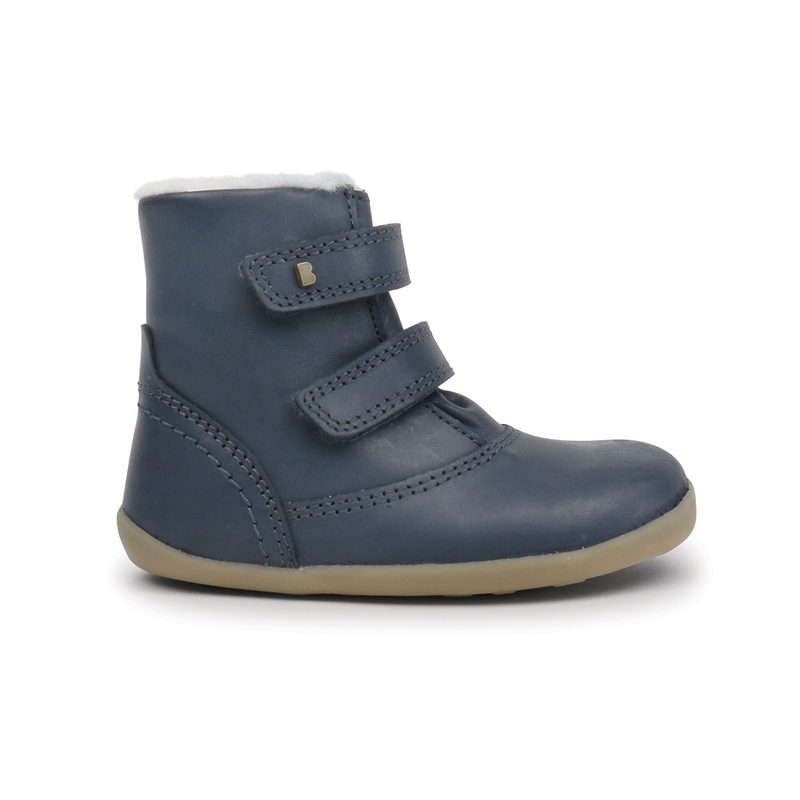 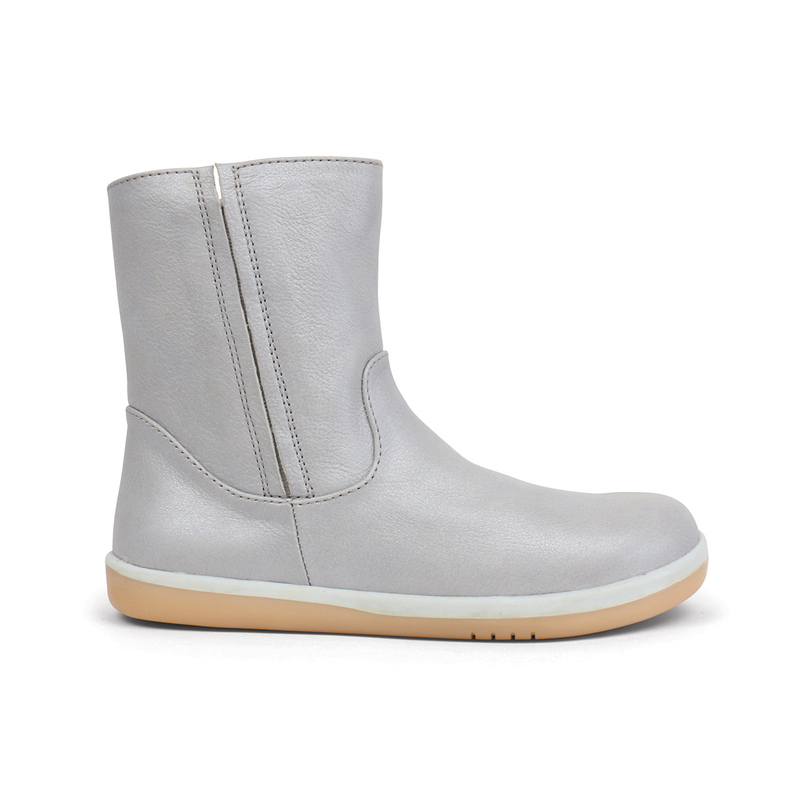 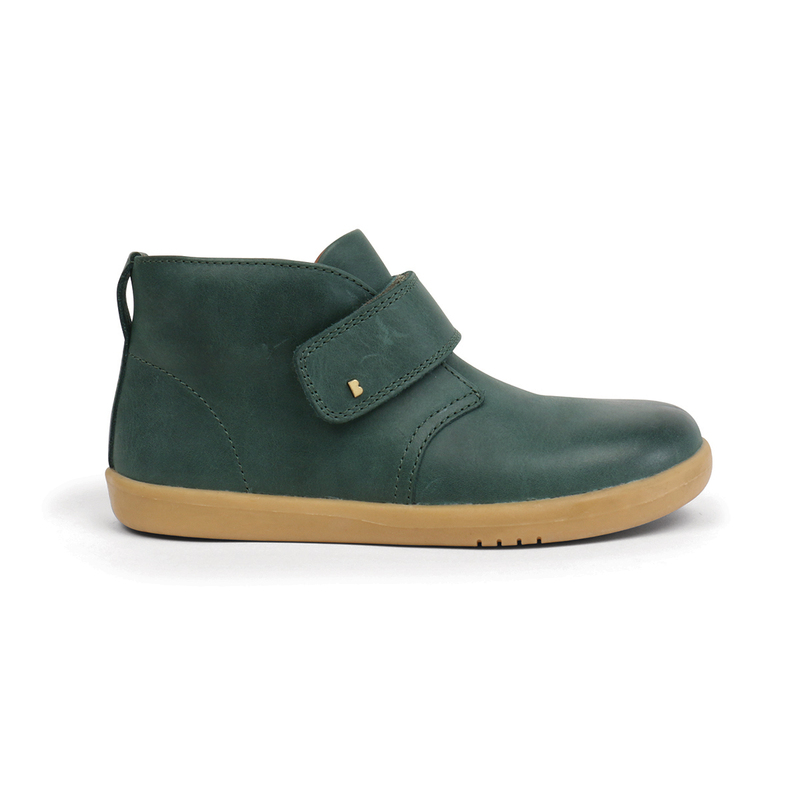 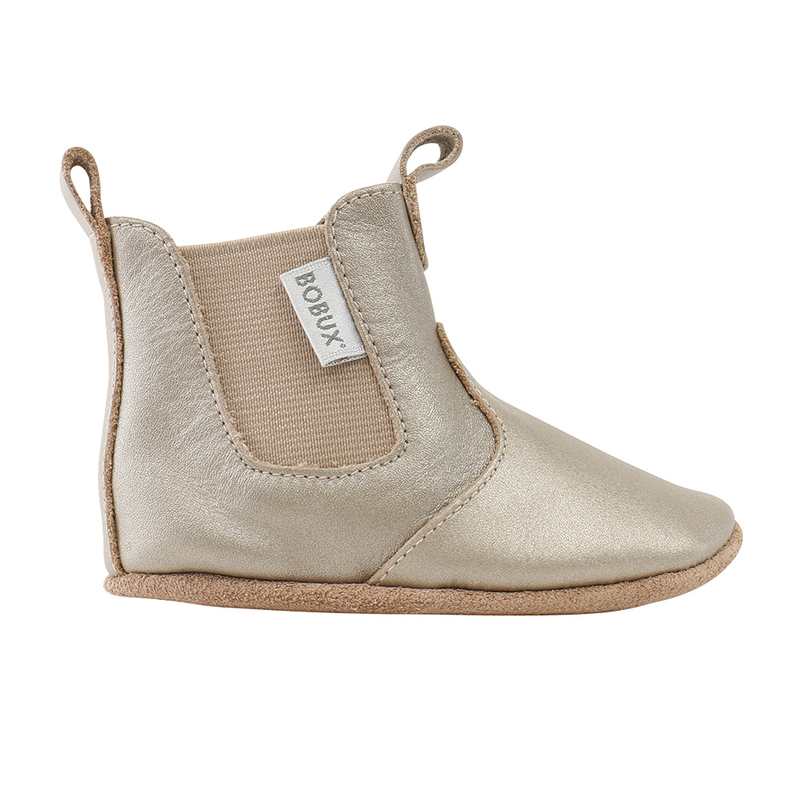 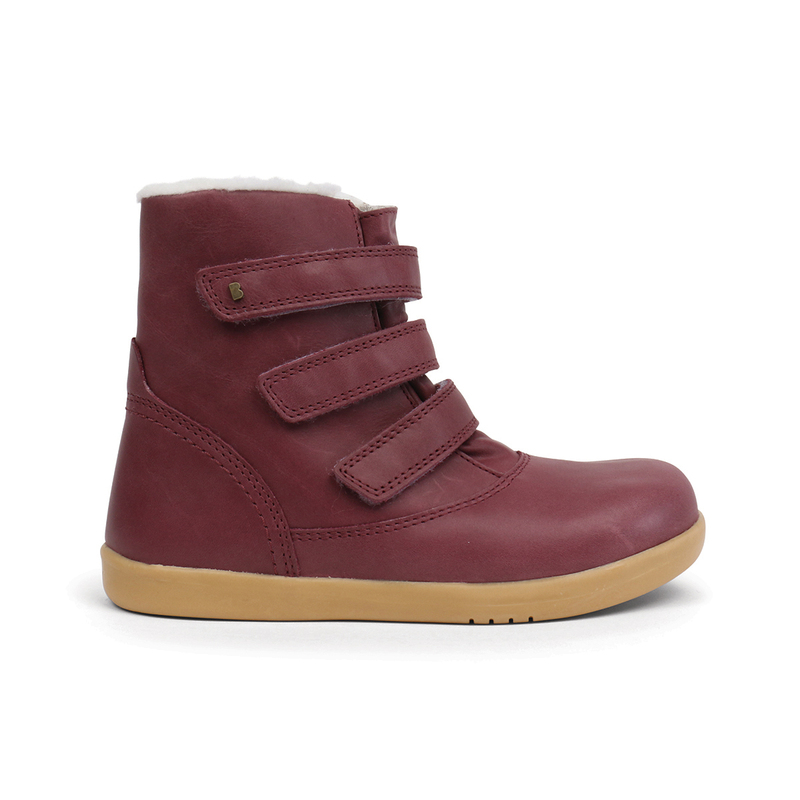 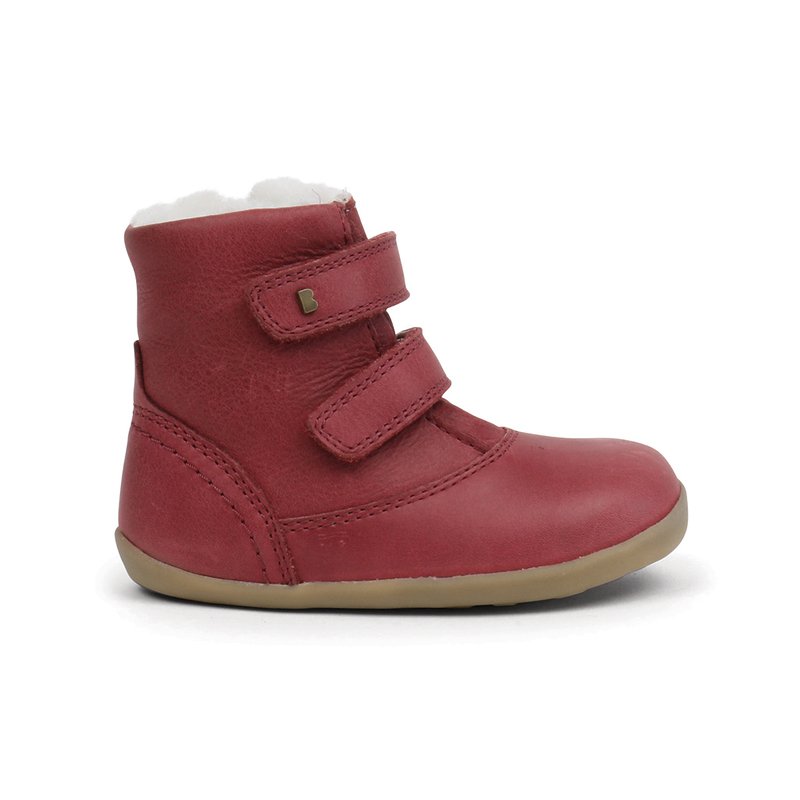 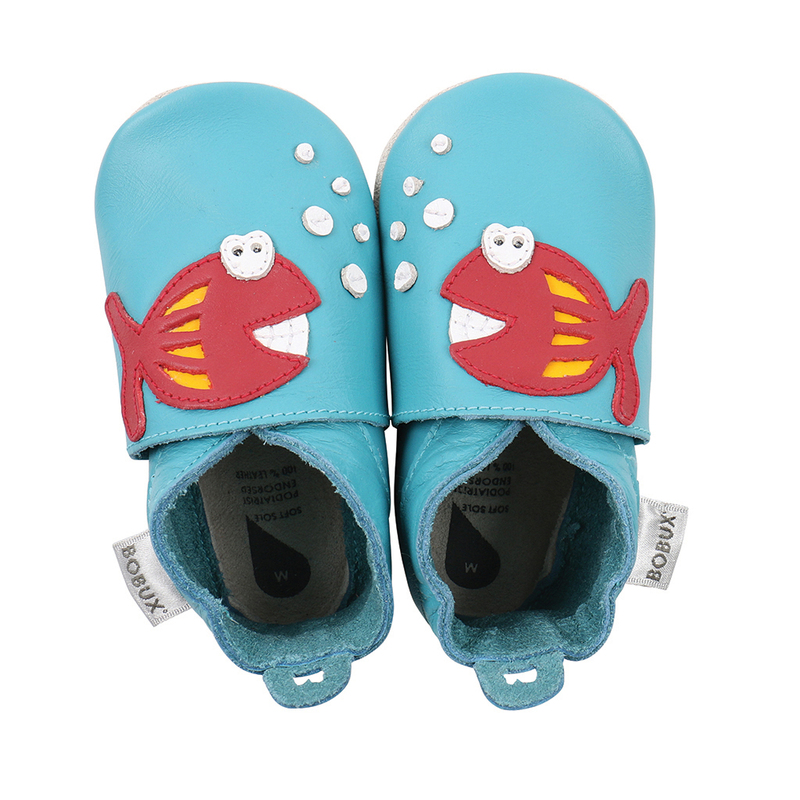 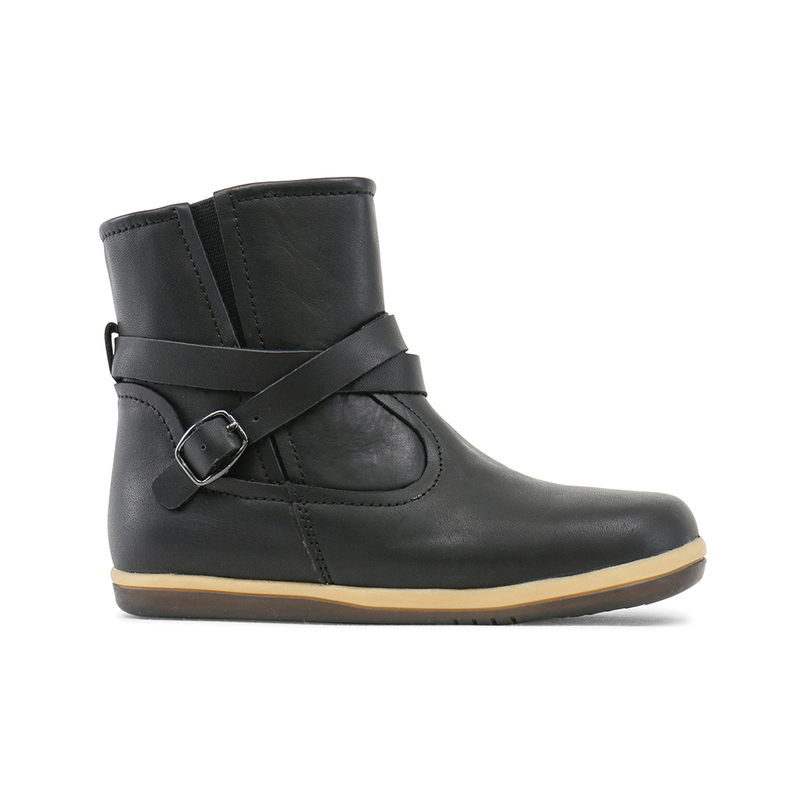 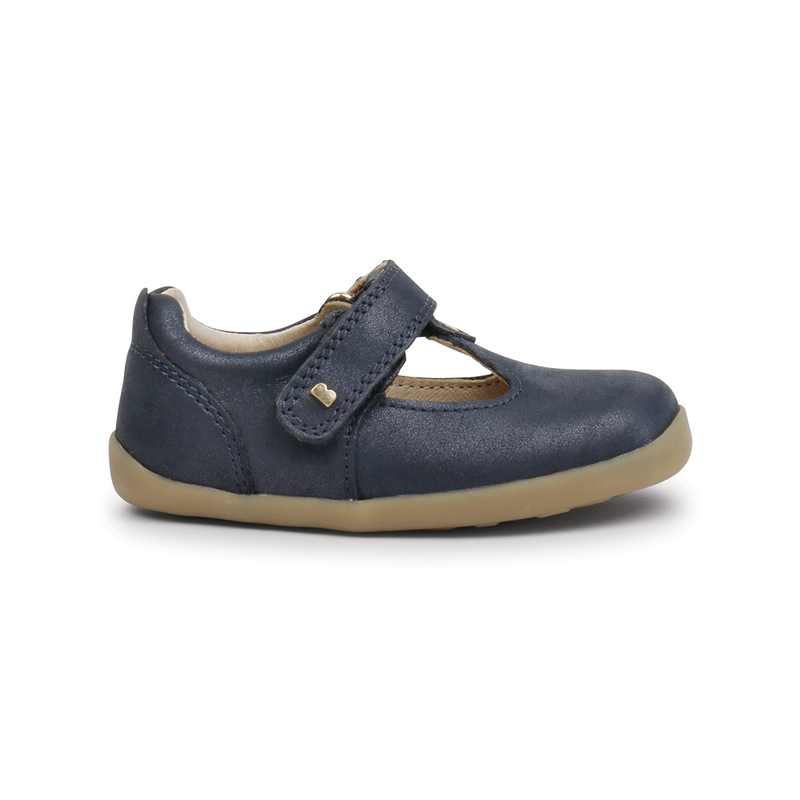 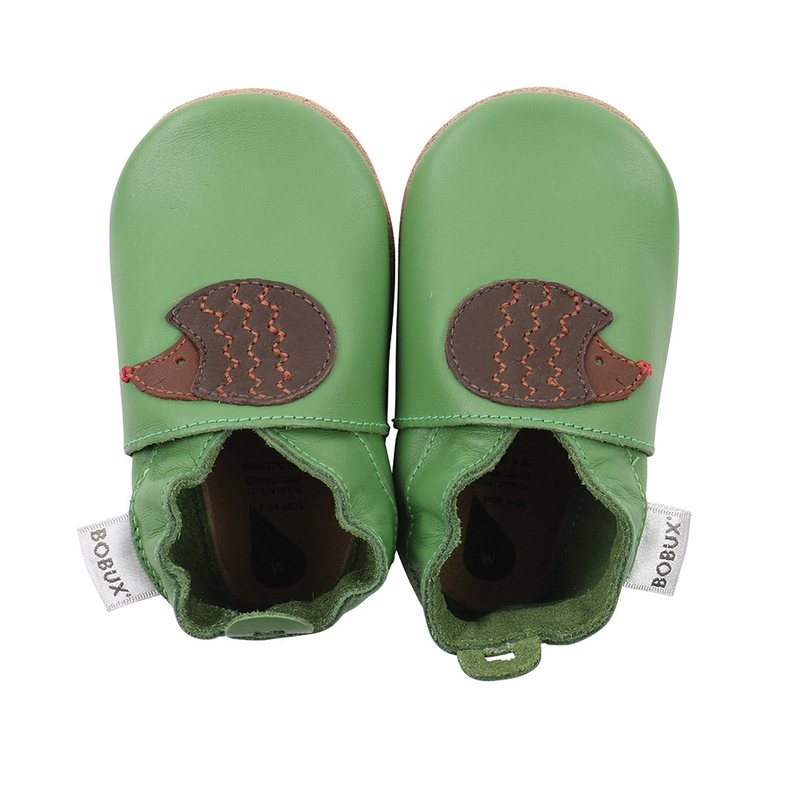 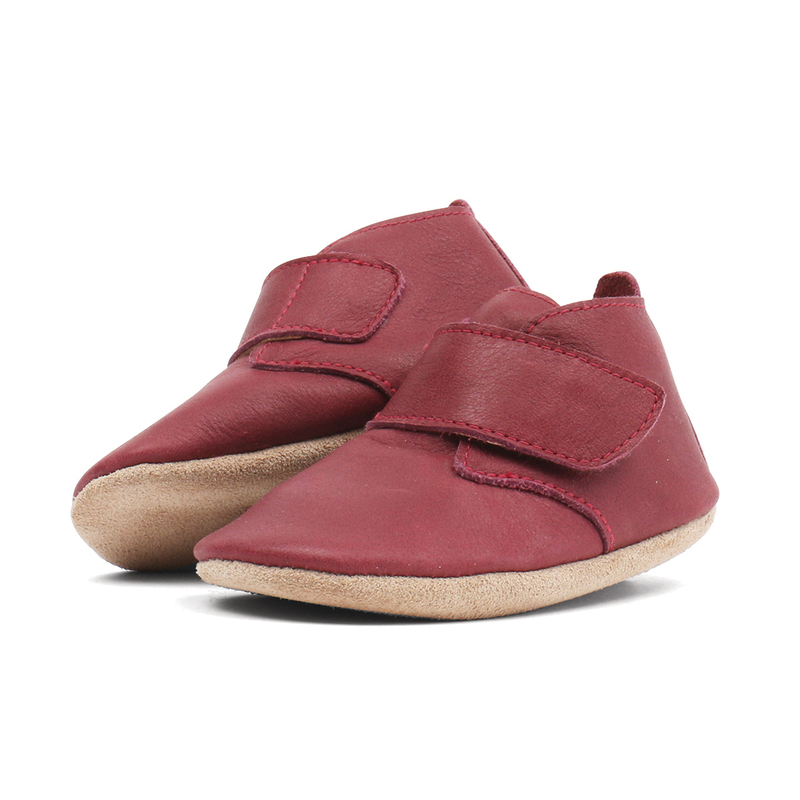 Known worldwide for the soft leather 'Soft Soles', Bobux is also developing children's shoes from size 18 to 33. 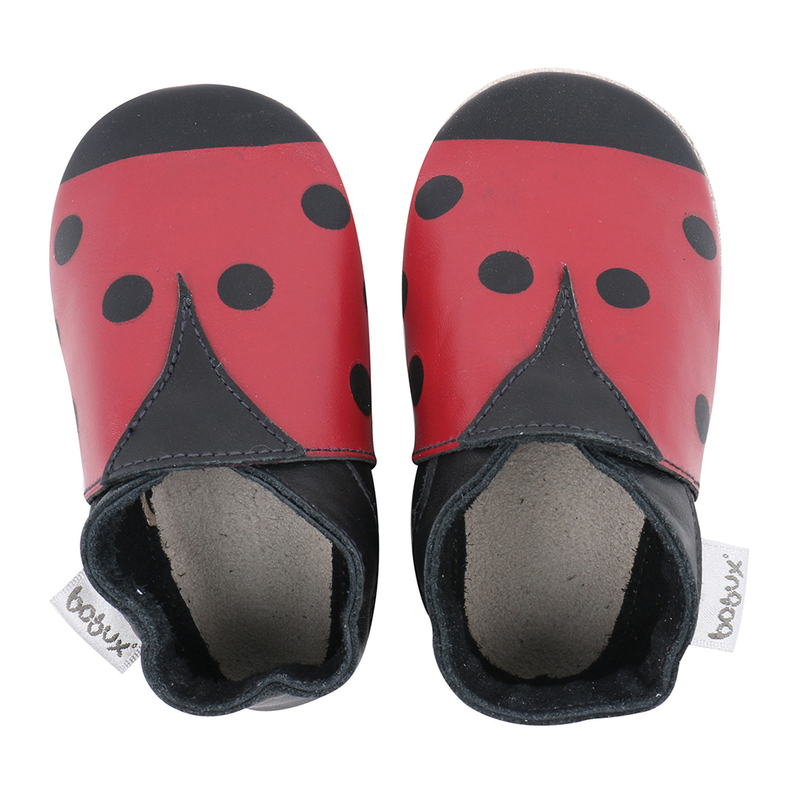 Bobux works really hard every day to make sure that their shoes are the best in the world for growing feet. That means working closely with podiatrists, industry experts and customers to develop shoes to the level that meets their exacting standards. 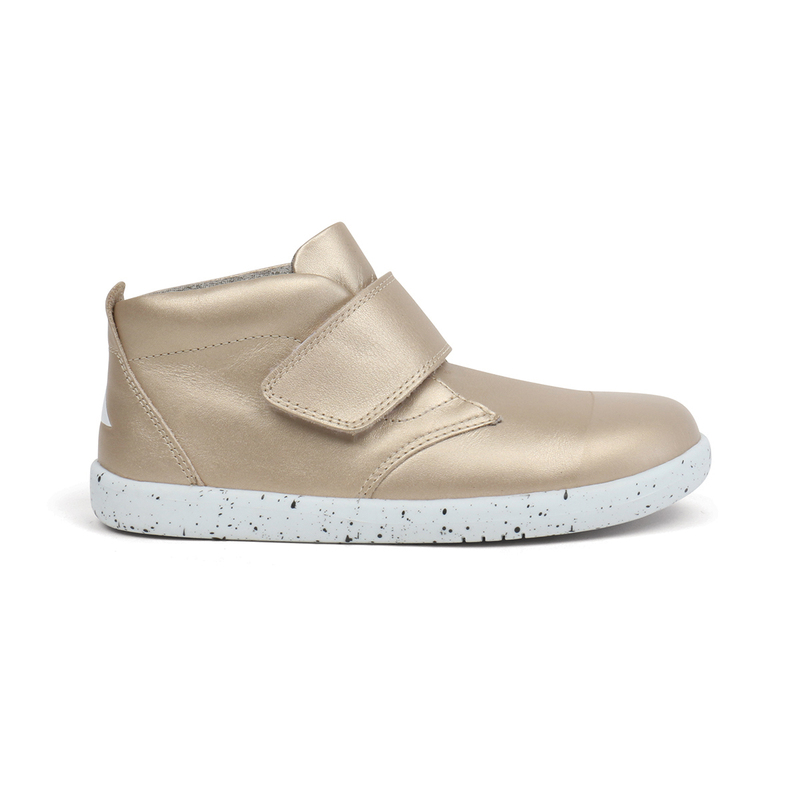 But what's good must be beautiful too! 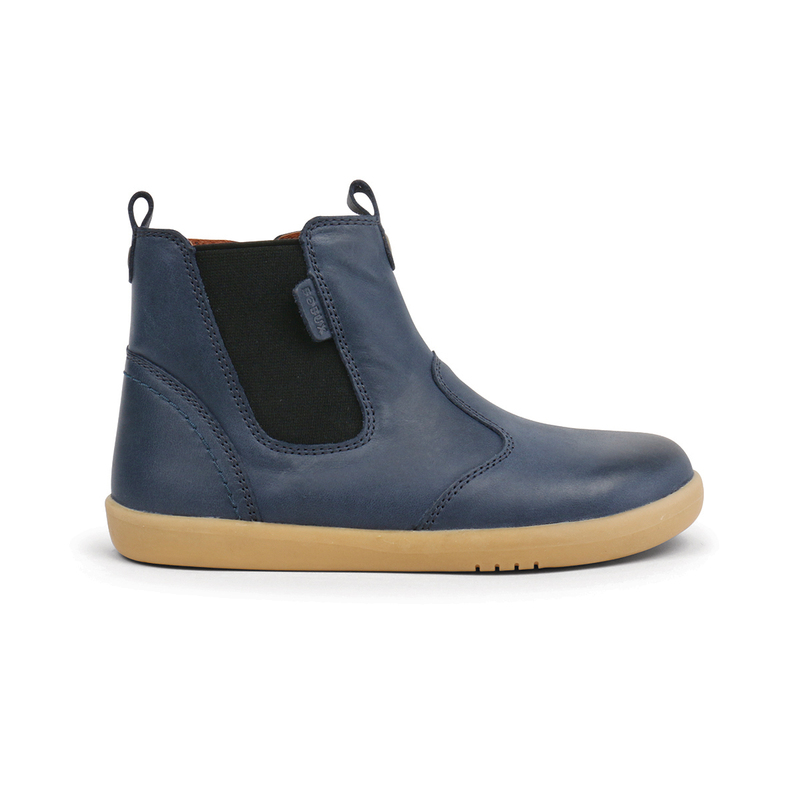 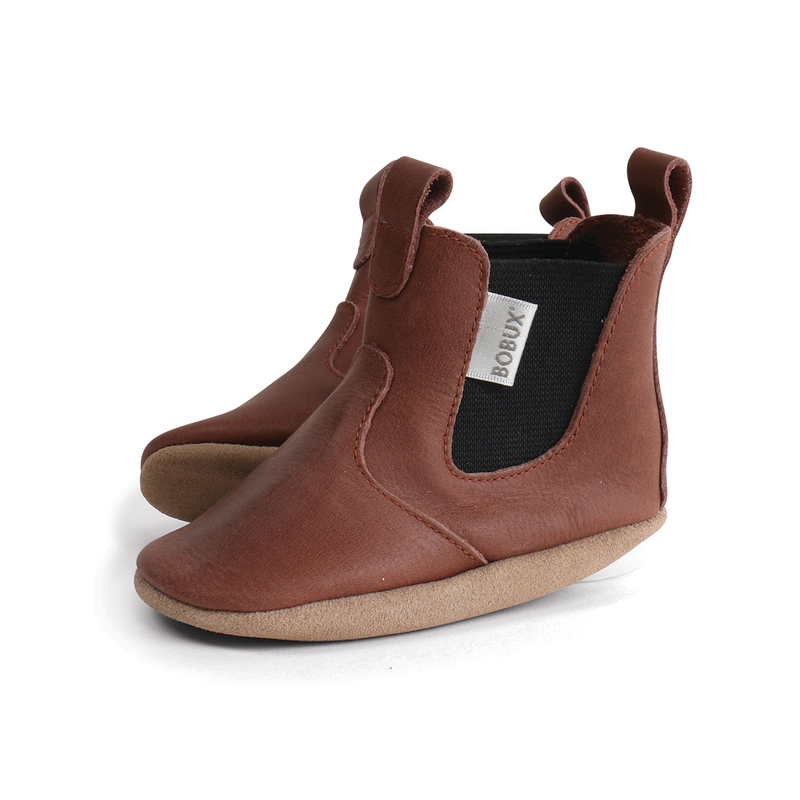 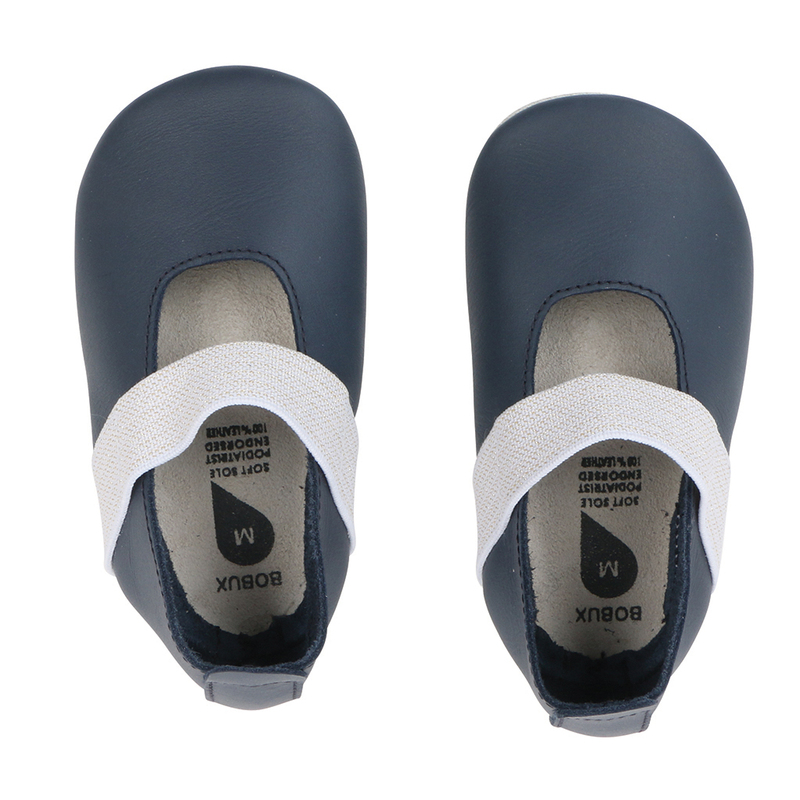 Designing shoes that are stylish and good for children, this is Bobux's mission. 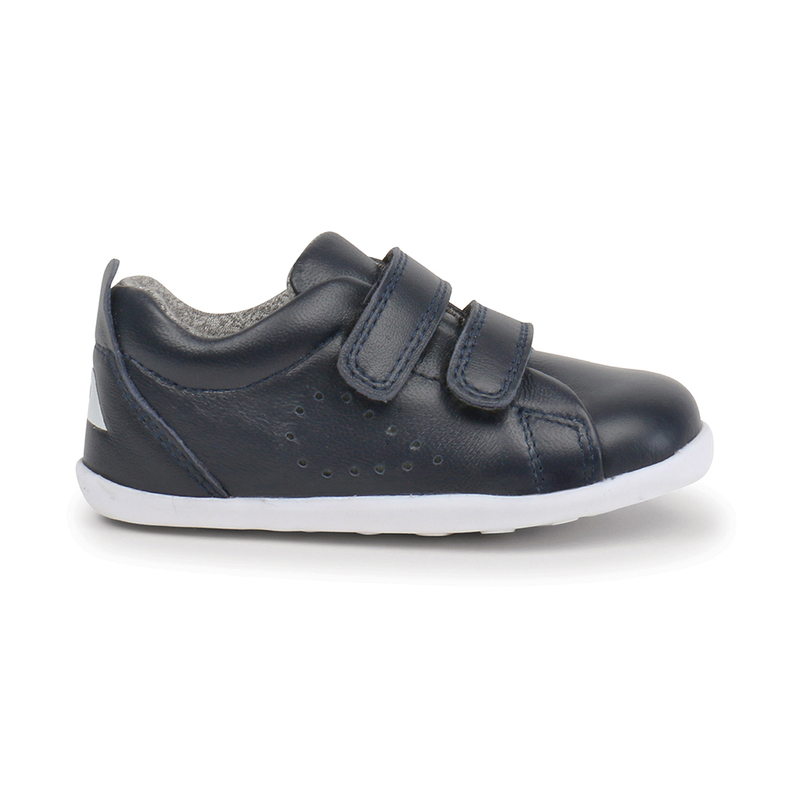 Getting the correct fit is THE most important thing you can do when buying shoes for children. This is why we created our size matrix. 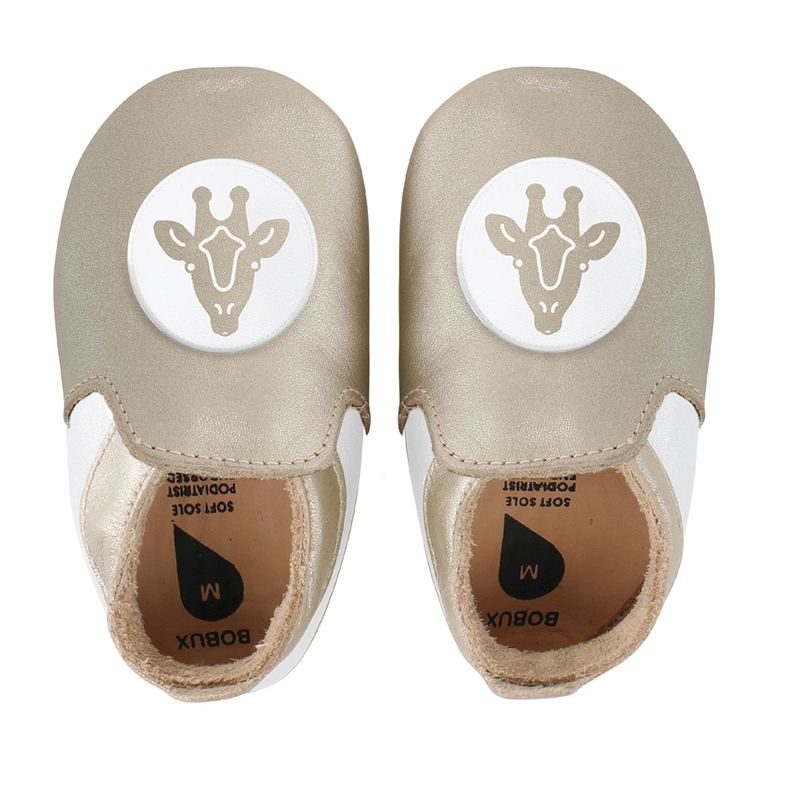 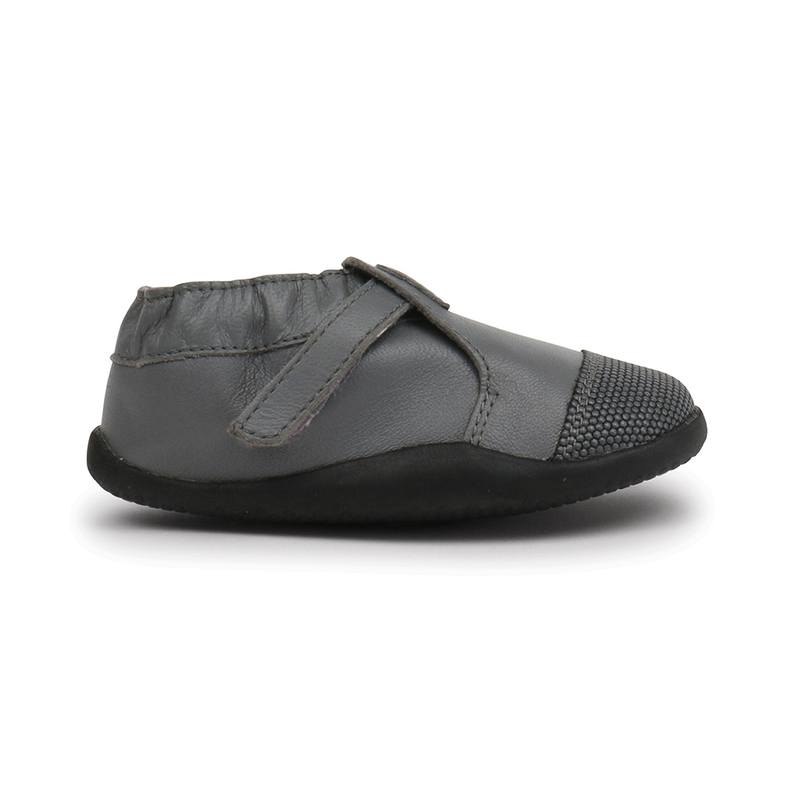 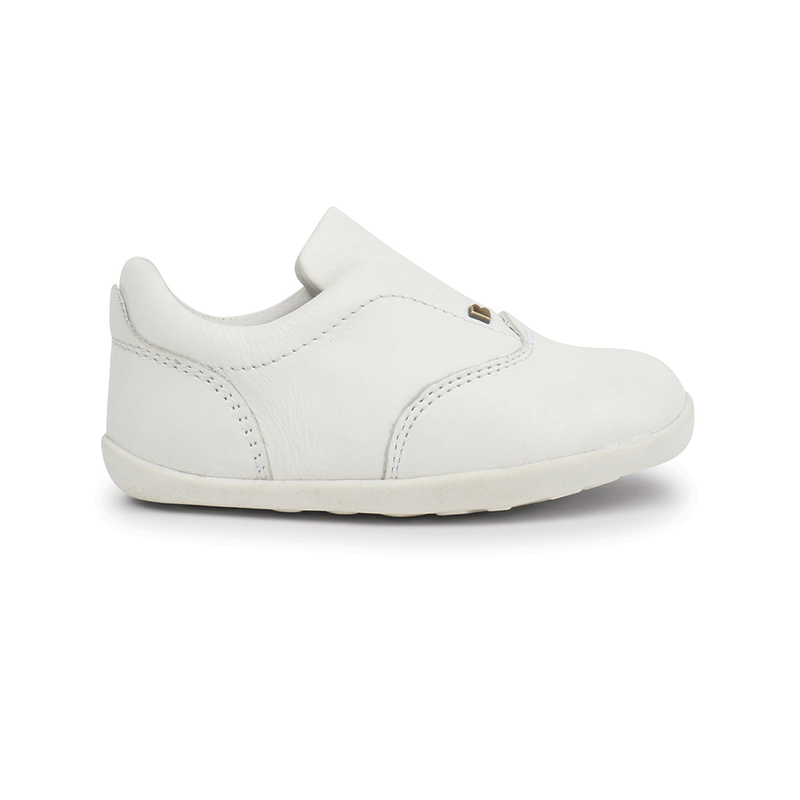 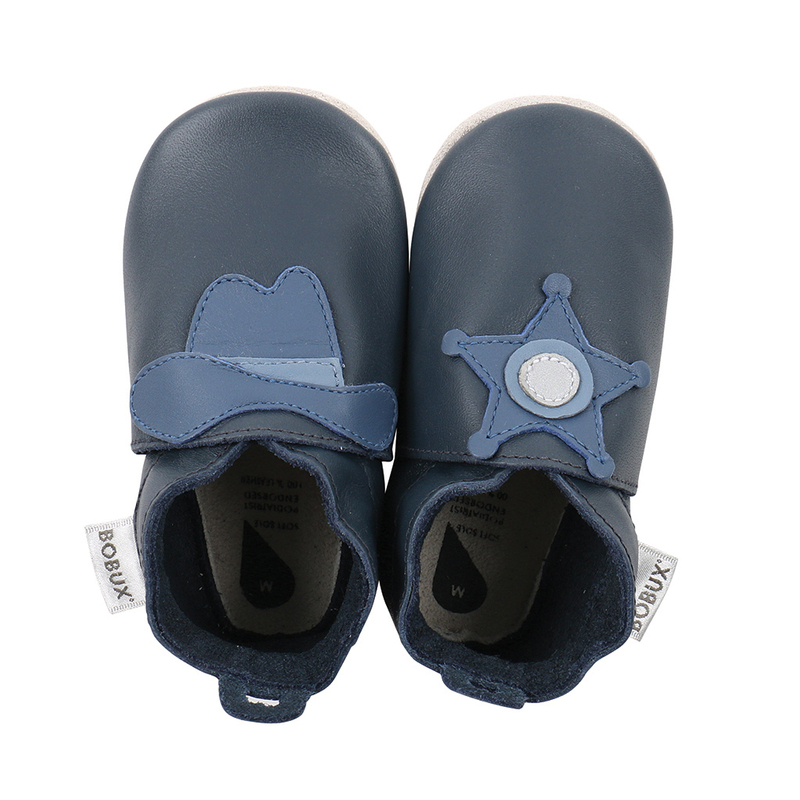 The Bobux shoes are recommended by podologists and tested internationally according to the REACH standard for child safety. 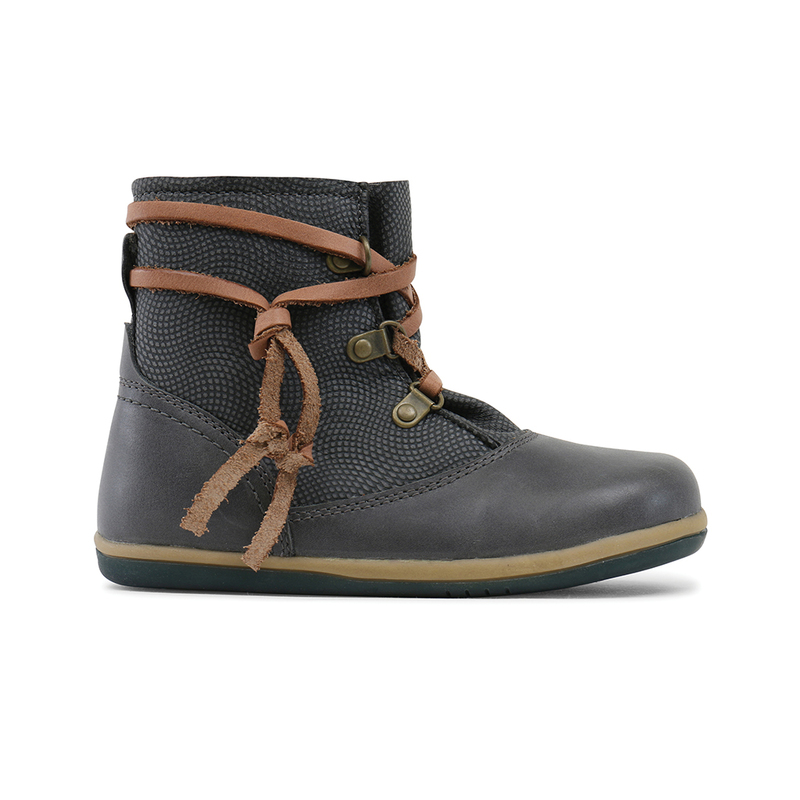 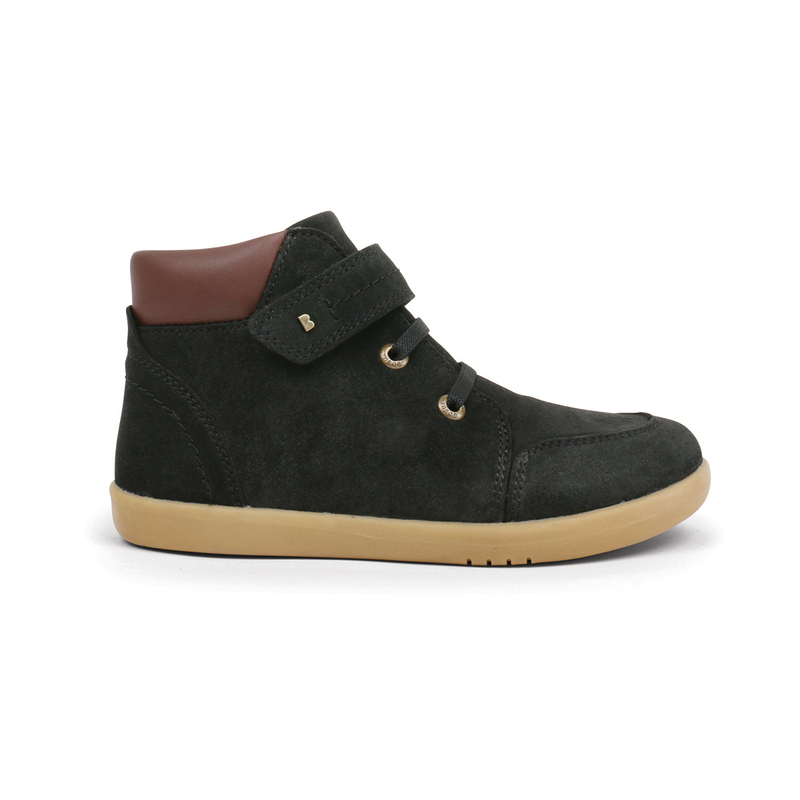 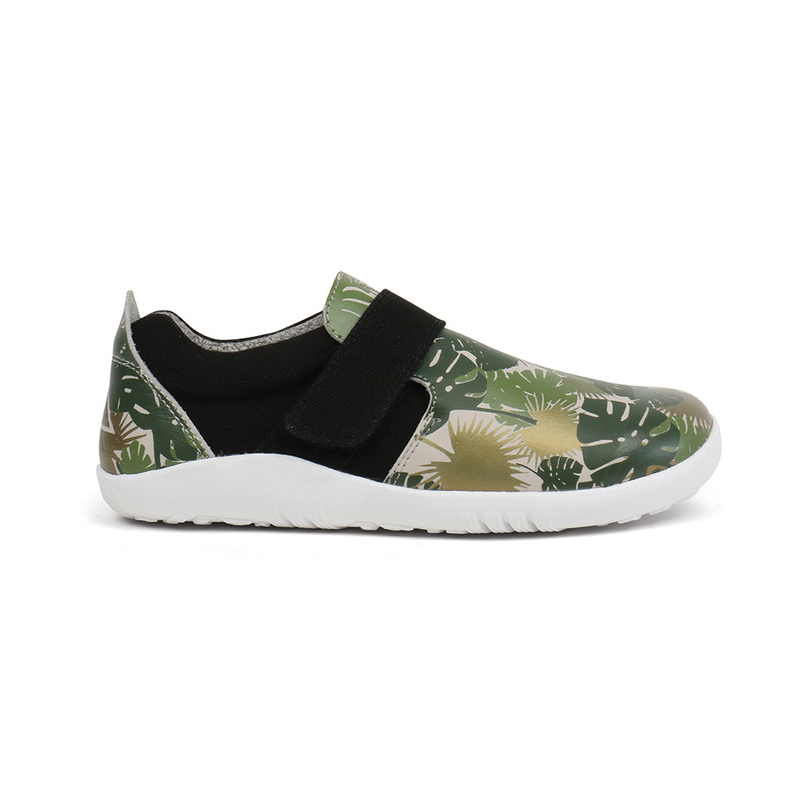 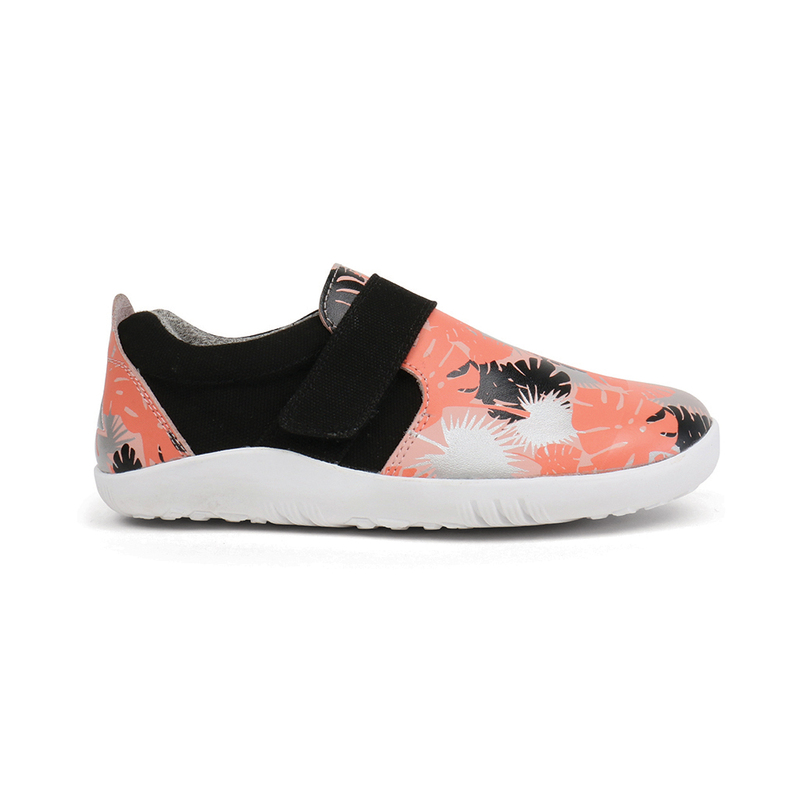 From classic shoes, to the street-style sneakers, the Bobux range includes different styles. 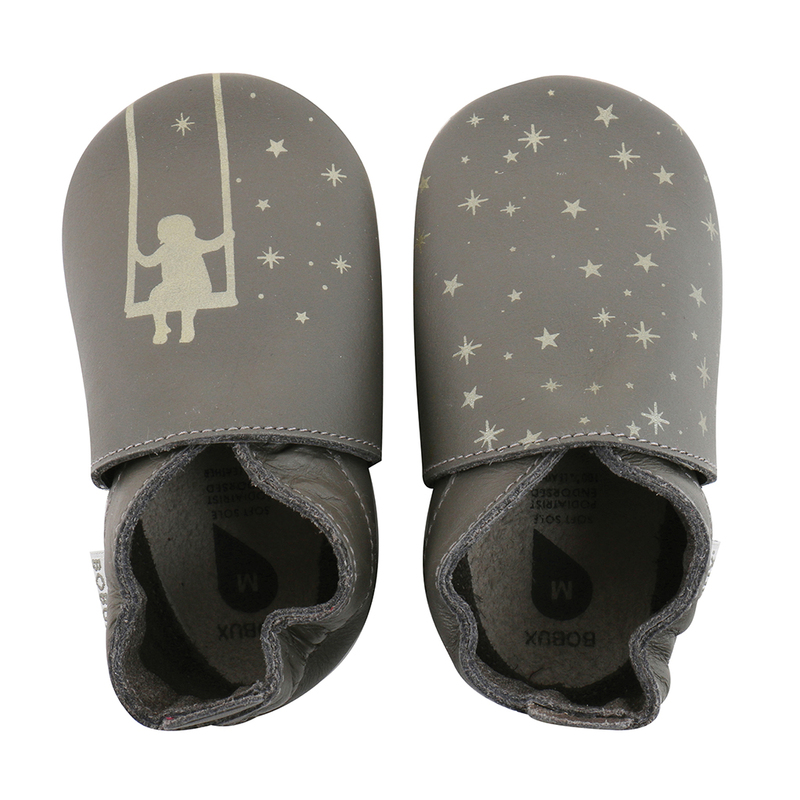 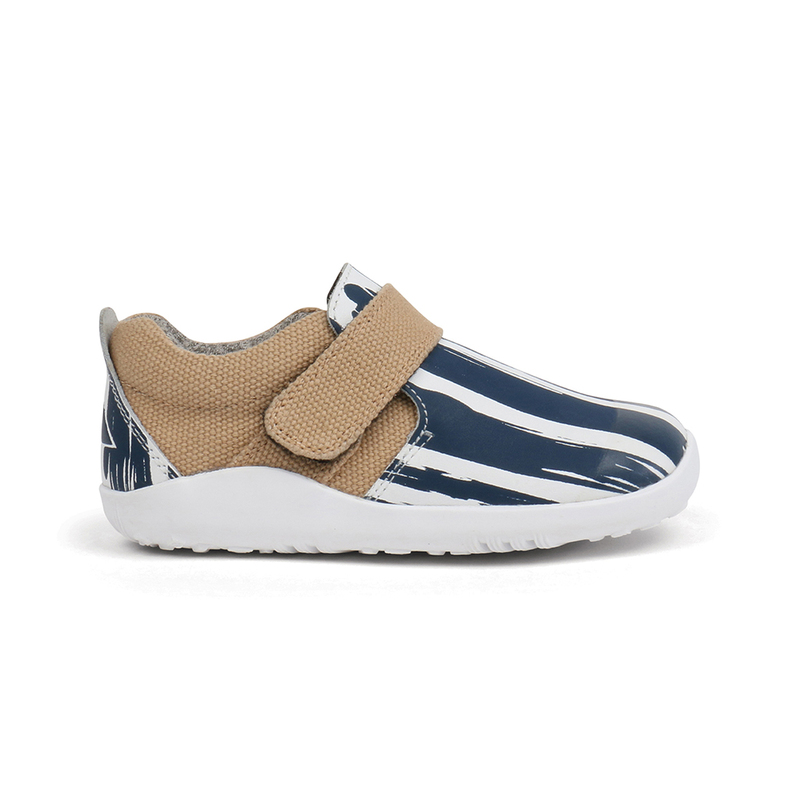 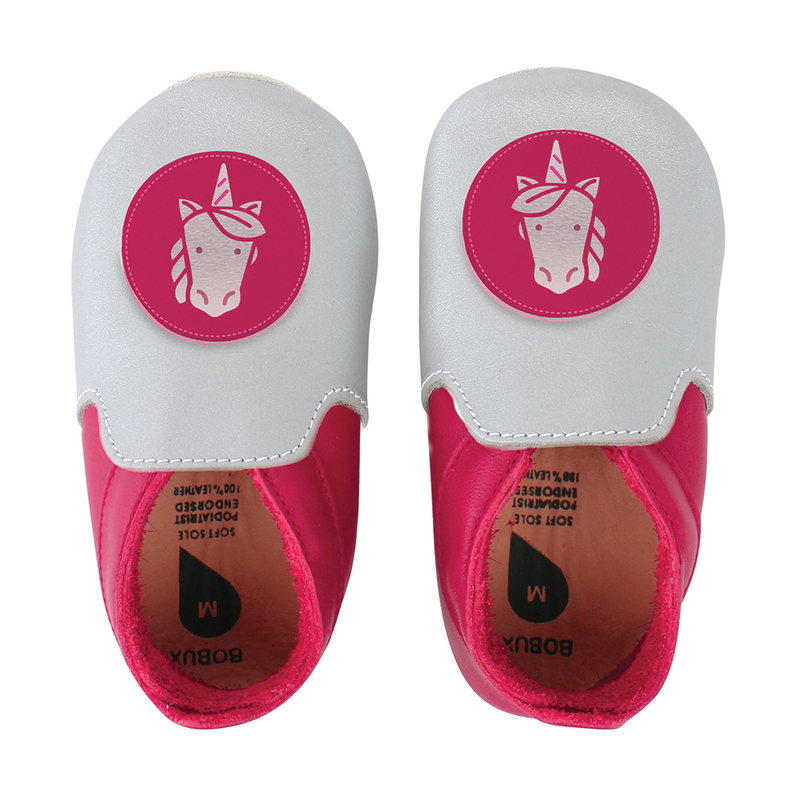 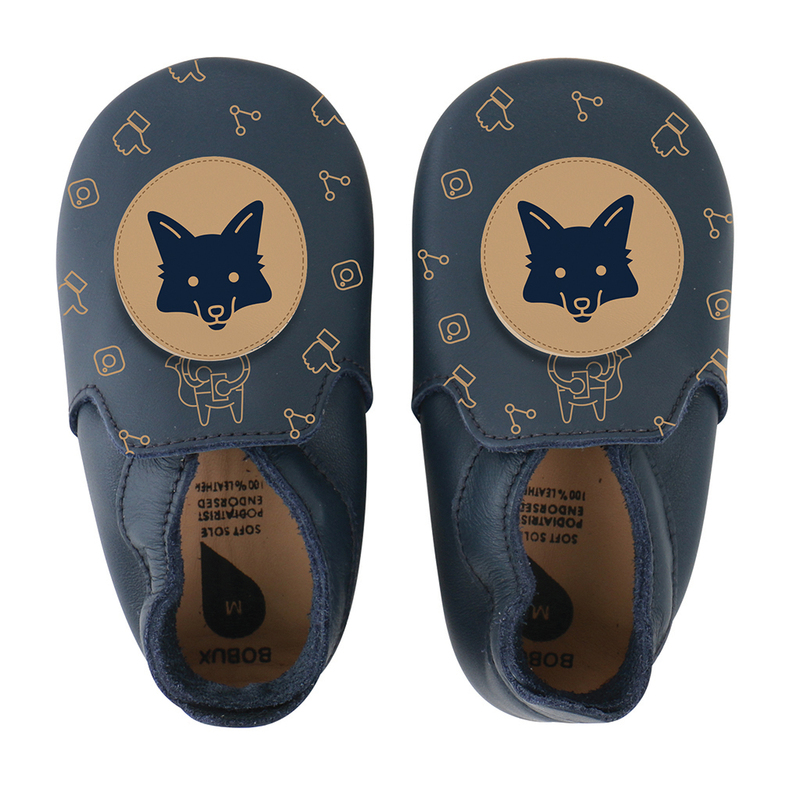 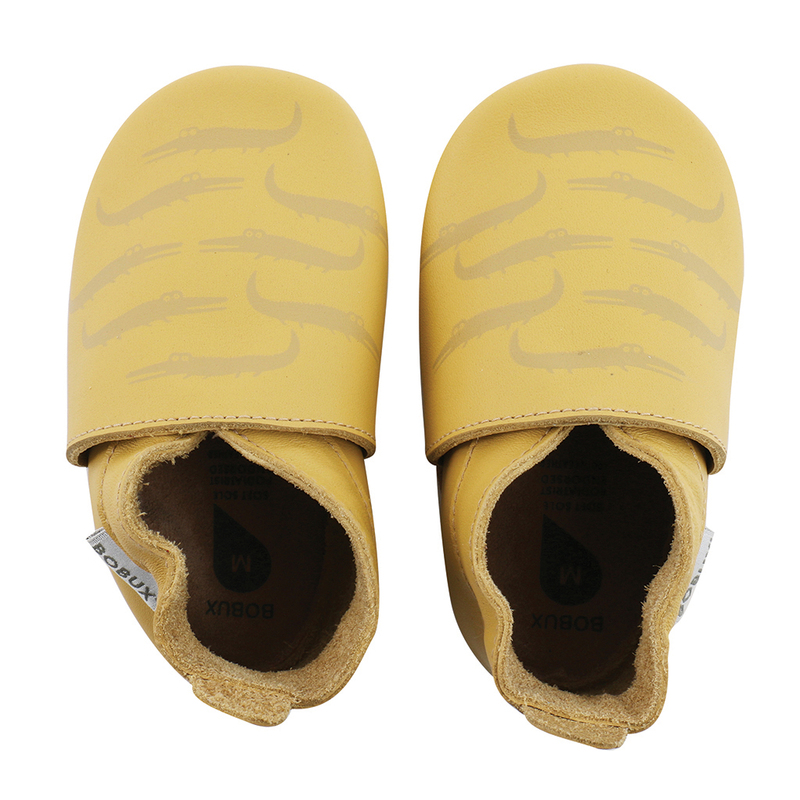 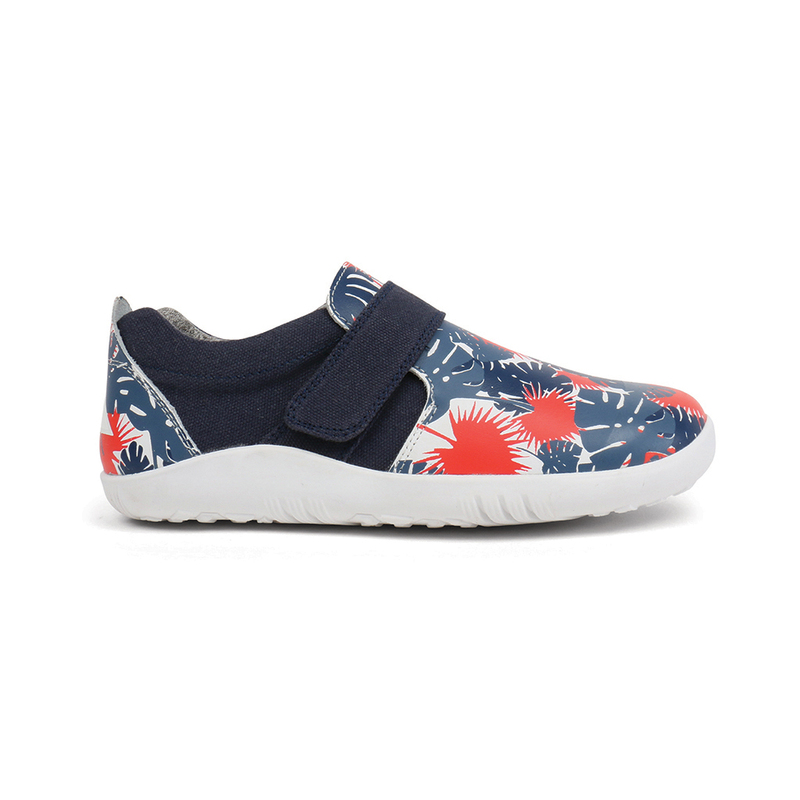 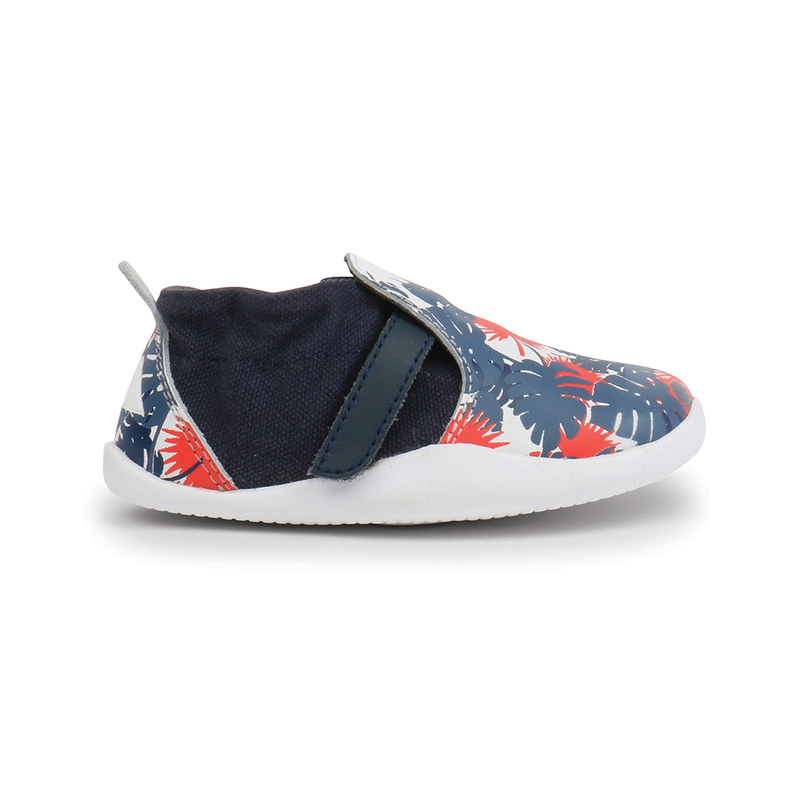 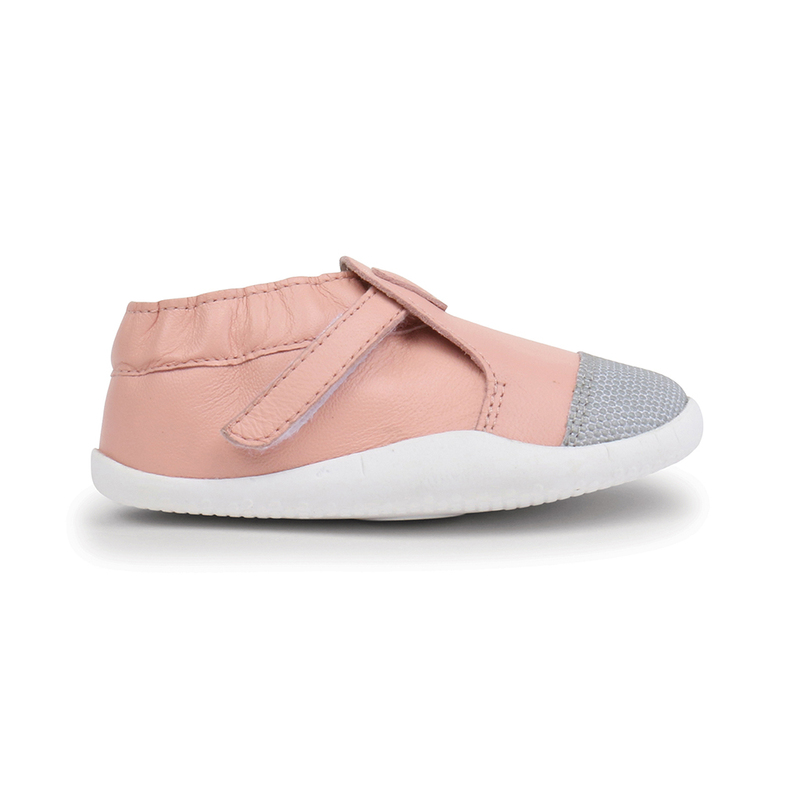 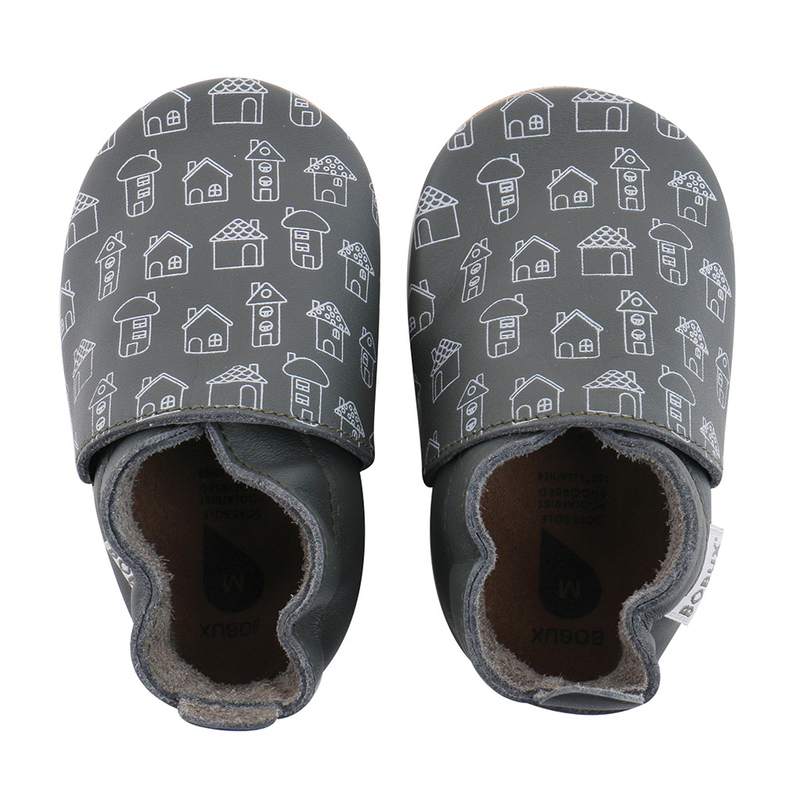 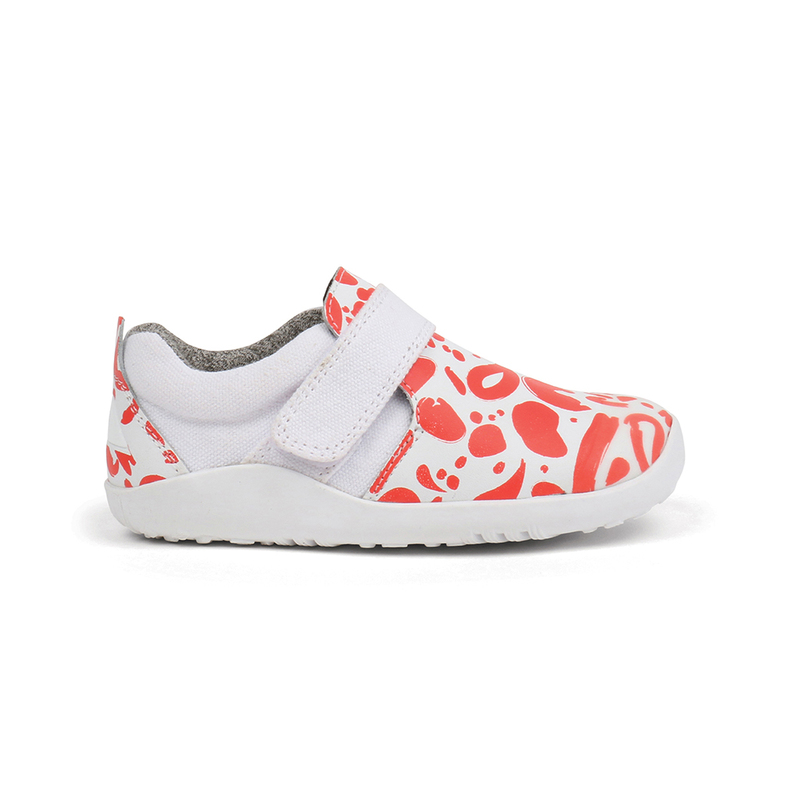 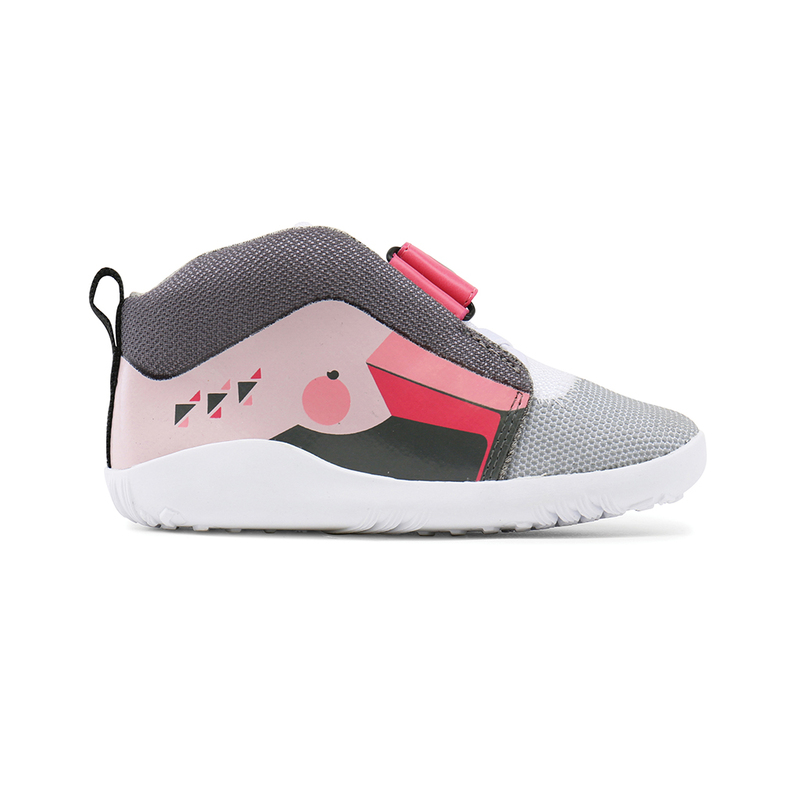 Bobux designs children's shoes that respect the correct anatomical form of growing child feet at any age. 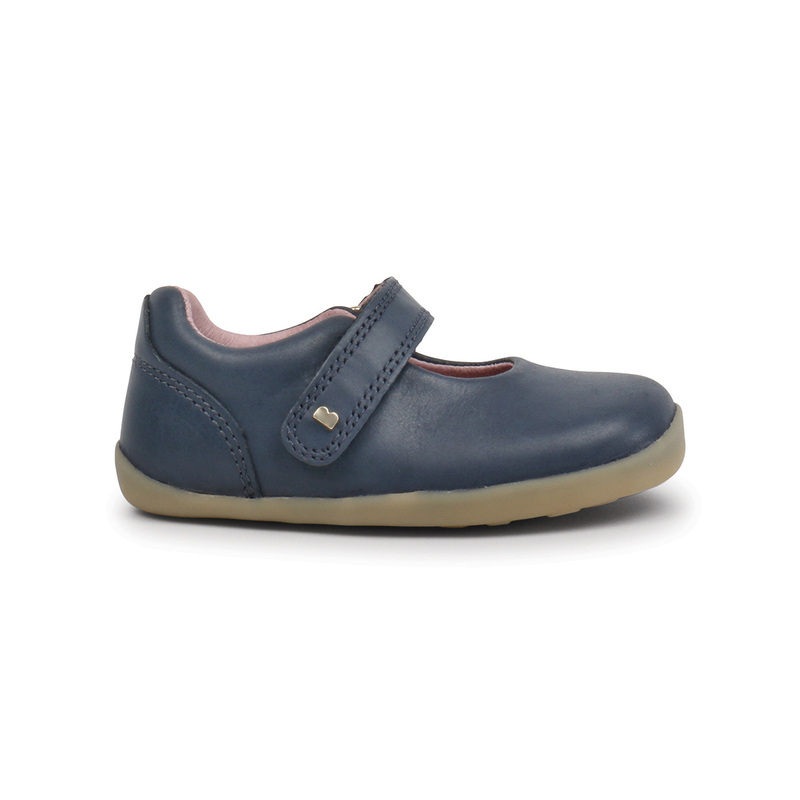 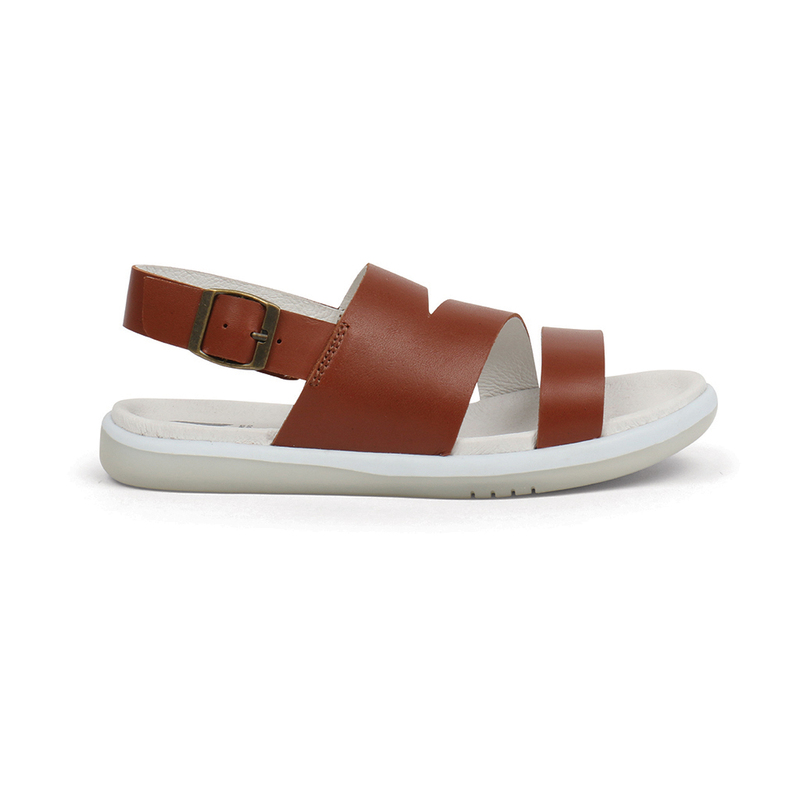 Parents may be reassured: feet can grow unobstructed and your children wear very comfortable shoes! The range is divided into 4 different categories, depending on the development phase of your little one.